California, baby! 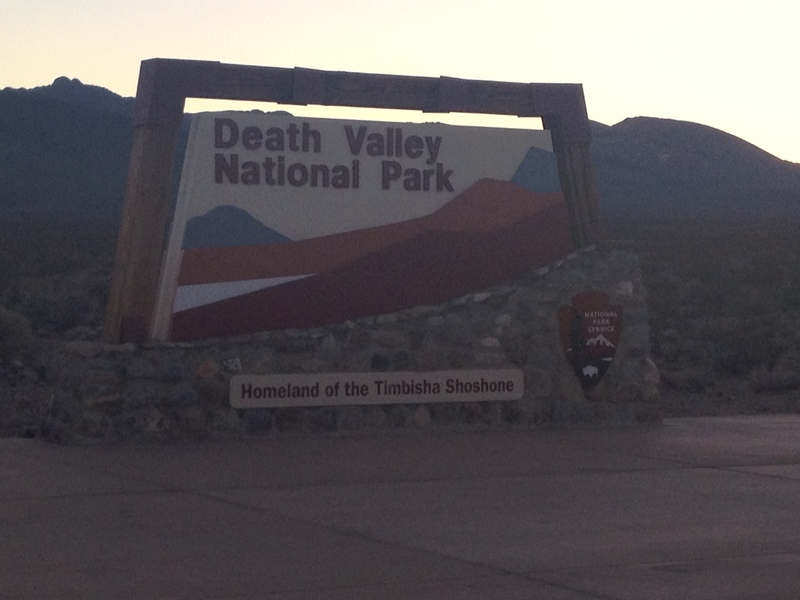 We made it on Tuesday night, Day 6 of our road trip, to Death Valley National Park in California. I’m not sure how many people choose to enter California via Death Valley but that’s how I like to roll: off the grid and a little different. 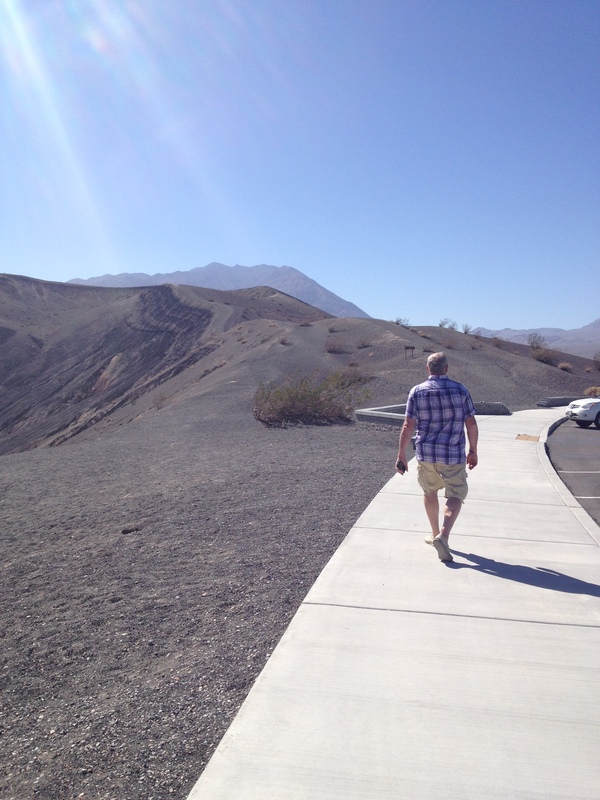 And who knew that Death Valley was such a cool (eh eh, lol) place to visit! There was one place in Death Valley called The Racetrack that I’ve wanted to see since I saw a program on the History Channel years ago, but I never realized there was so much more to do in Death Valley. My enjoyment of Death Valley was also helped by the fact that we were NOT visiting in the summer and the high was only 99 degrees in late September. Really, that’s not bad all all since there was a decent breeze too. We also woke up early to get a head start on the day and we left Death Valley by early afternoon before the hottest part of the day. 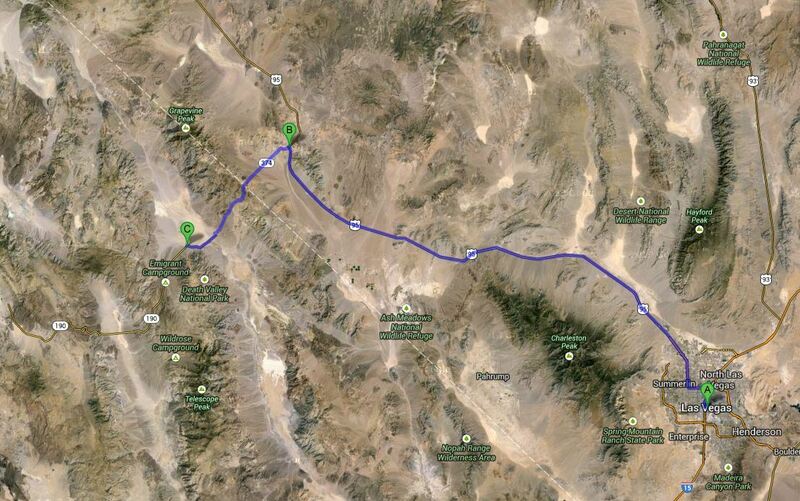 Our route from Las Vegas to Death Valley, approximately three hours. We entered the park around 7pm on Tuesday, and checked into our hotel room about 8pm. 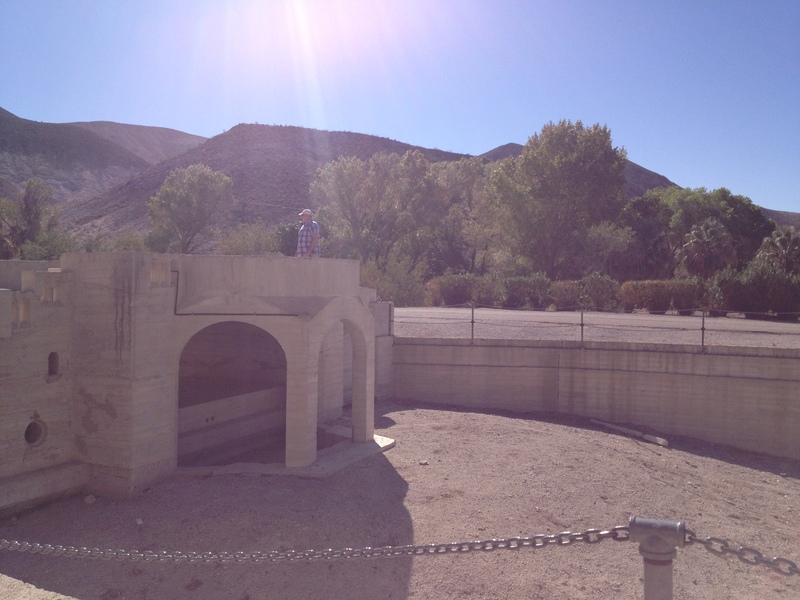 We passed by the large ghost town of Rhyolite on our way into Death Valley, and we weren’t greeted with any other signs of civilization (past or present) until we reached Stovepipe Wells Village inside the park, where we were staying for the night. 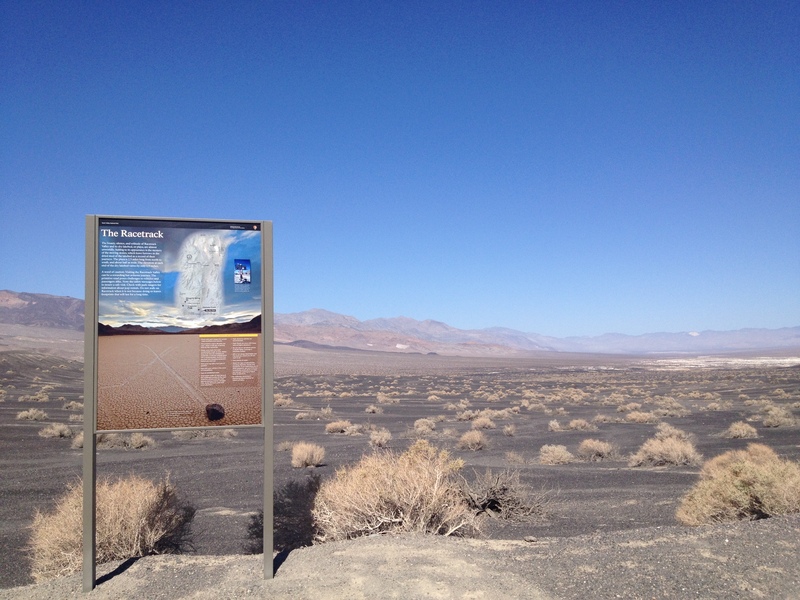 The nearest town to Death Valley National Park is Beatty, Nevada with a population of 1,000. Aside from Beatty, which is about an hour from Stovepipe Wells, Death Valley is a huge isolated region with an aptly titled name. It is over 3 million acres with the nearest major city over 120 miles away. 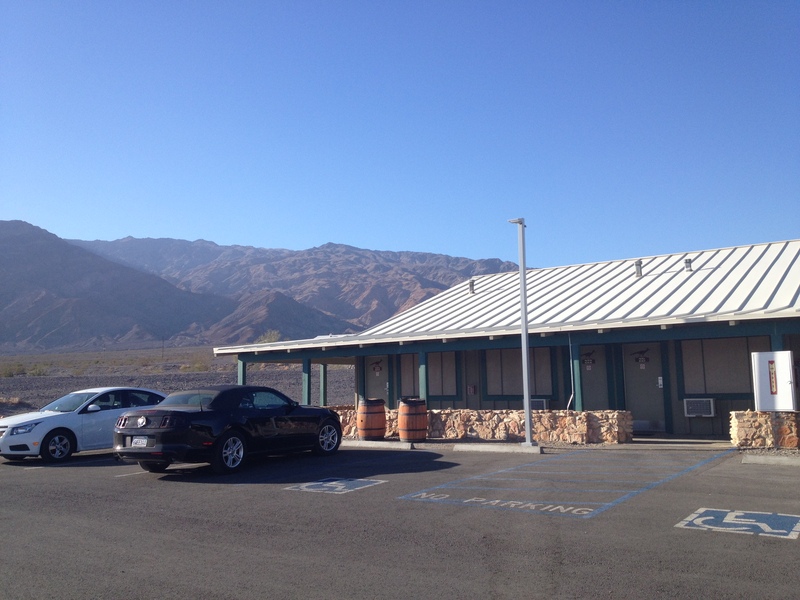 We had zero service after we left Beatty and didn’t gain it back until we were about two hours outside of Death Valley from the west in Lone Pine, California. 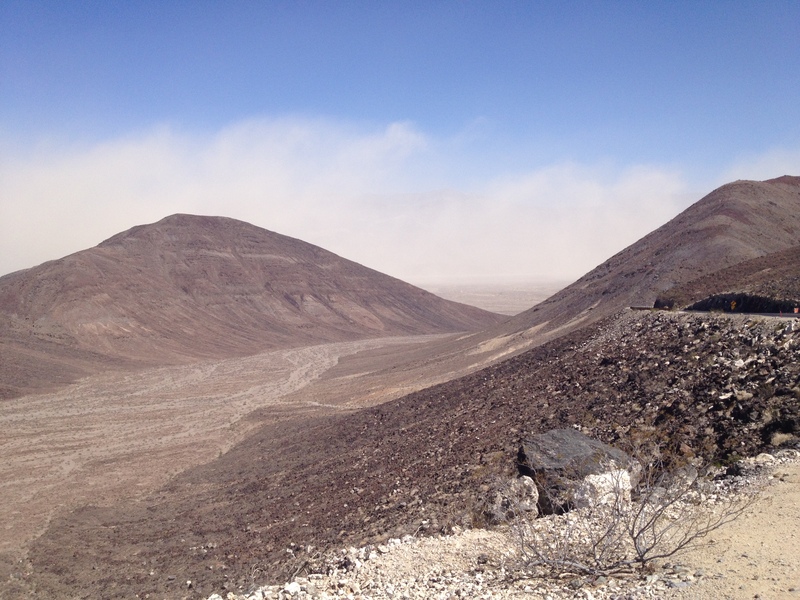 Welcome to the hottest, driest and lowest place in the United States! 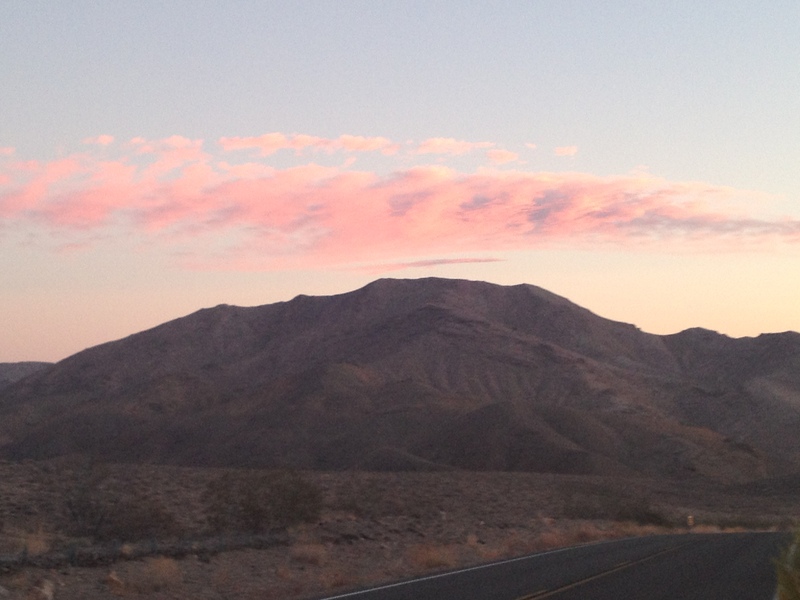 We were treated to a beautiful sunset as we drove through Death Valley. Death Valley is surprisingly vibrant and beautiful. The Saloon had WiFi (yay, connection to the modern world), albeit very very slow WiFi. The forecast looks as it should. While stargazing, dad and I saw several shooting stars. I made so many wishes that night! I stared up in awe at the expanse of the Milky Way stretched across the sky and its beautiful colors. We also couldn’t help but notice the enormous Big Dipper! I had never seen it so big before! From my perspective it seemed to take over the entire lower Northwestern sky. The next time I visit Death Valley, I want to stargaze along the sand dunes. One of the park’s suggestions is to take a full moon hike along the Mesquite Flat Sand Dunes. When it’s a clear night sky with a full moon, it might as well be daylight you can see so well! And how amazing would it be to take a moonlit hike across these rippling dunes with a star-filled sky above. On my bucket list! Stargazing is truly one of my favorite pastimes! It can make me feel so small, but also so connected to the whole world because we all see the same moon and stars (well at least the people in my hemisphere see the same sky lol). Honestly, if I had stronger math and science skills I would have seriously considered a degree in Astronomy. I’ve always been incredibly fascinated by the stars and the enormity of the Universe. It will never cease to amaze me. There is so much beauty in a night sky and so much we still have to discover and learn. 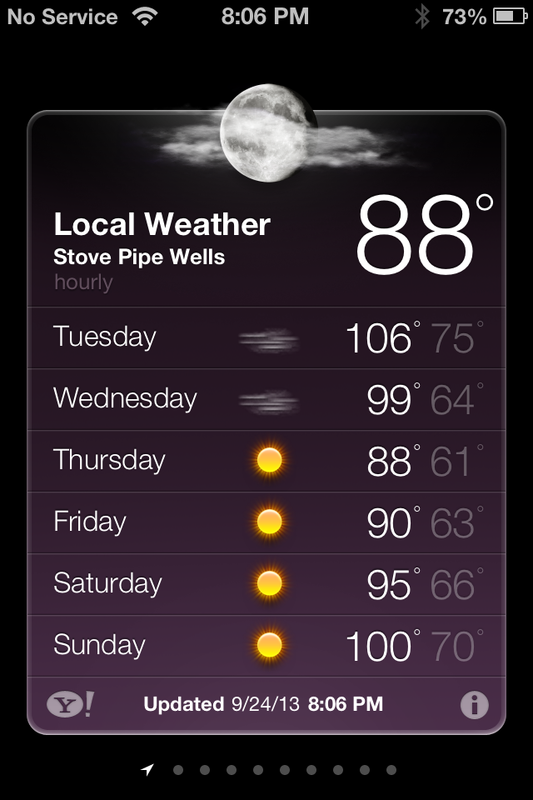 Welcome to Stovepipe Wells, which was first established as a temporary settlement in 1906 when a road joined the mining towns of Rhyolite and Skidoo. Today, the community includes a hotel with a swimming pool, restaurant and saloon, general store, gas station, gift shop, and a ranger station. This was our hotel. Most of the rooms do not include a TV to encourage visitors to embrace nature. This view is just outside our hotel room and where dad and I stargazed the night before. 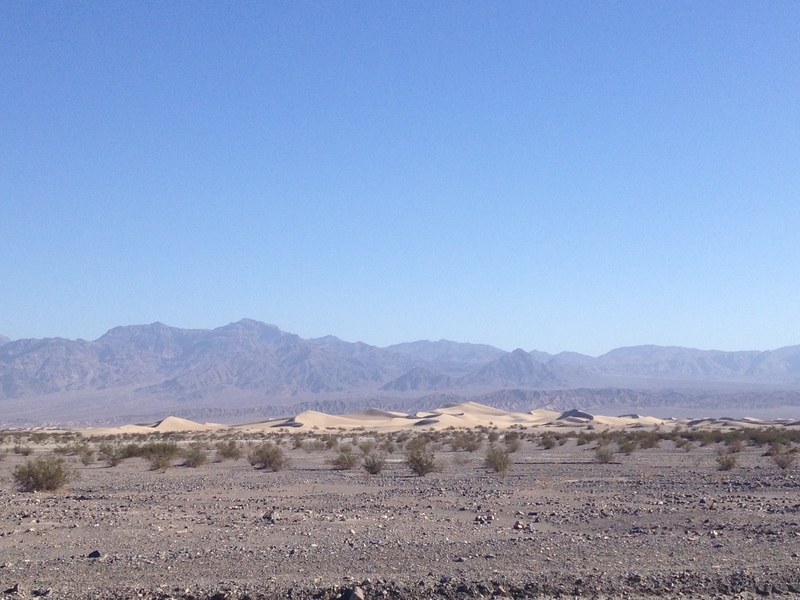 A view of the Mesquite Flat Sand Dunes from our hotel in Stovepipe Wells. Although the highest dune rises only about 100 feet, the dunes actually cover a vast area. 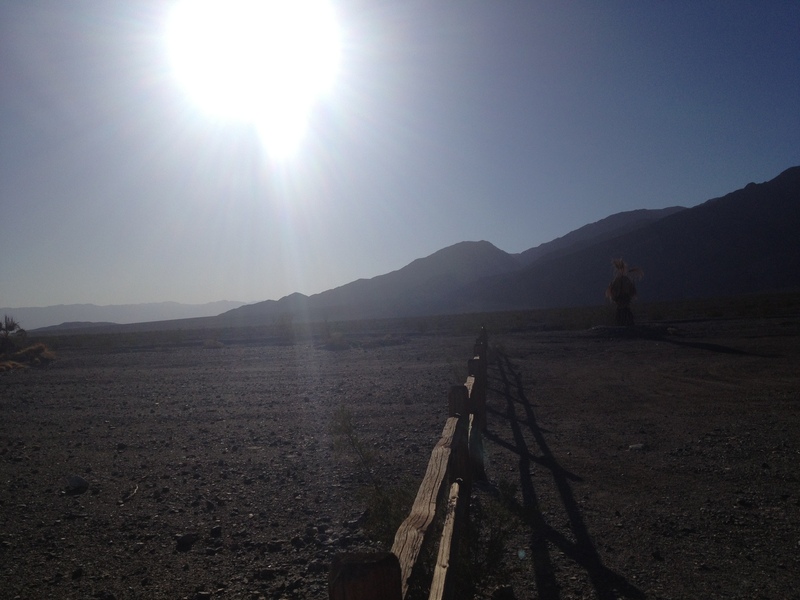 The average rainfall in Death Valley is less than 2 inches a year. and there have been some years of zero recorded rainfall. 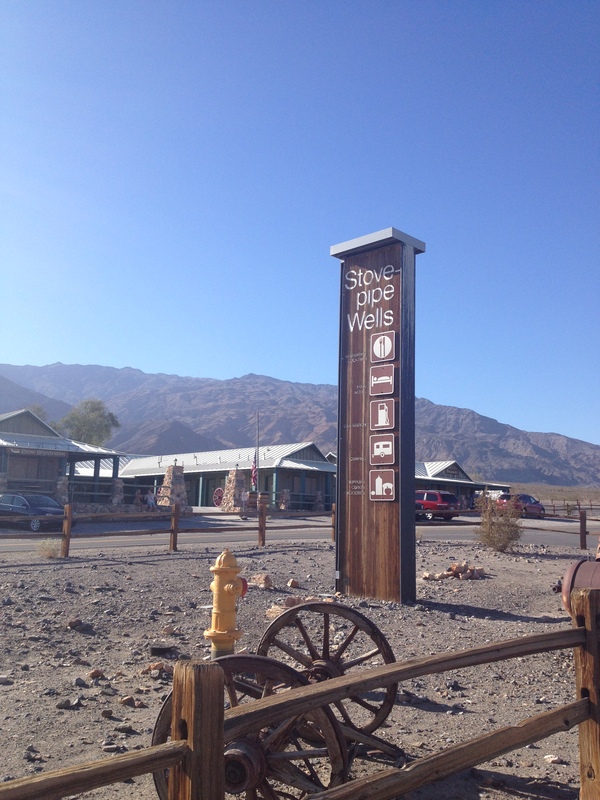 On Wednesday morning, we made a stop at the Stovepipe Wells General Store for some souvenirs and ice for our cooler, and then we made our way to Scotty’s Castle. 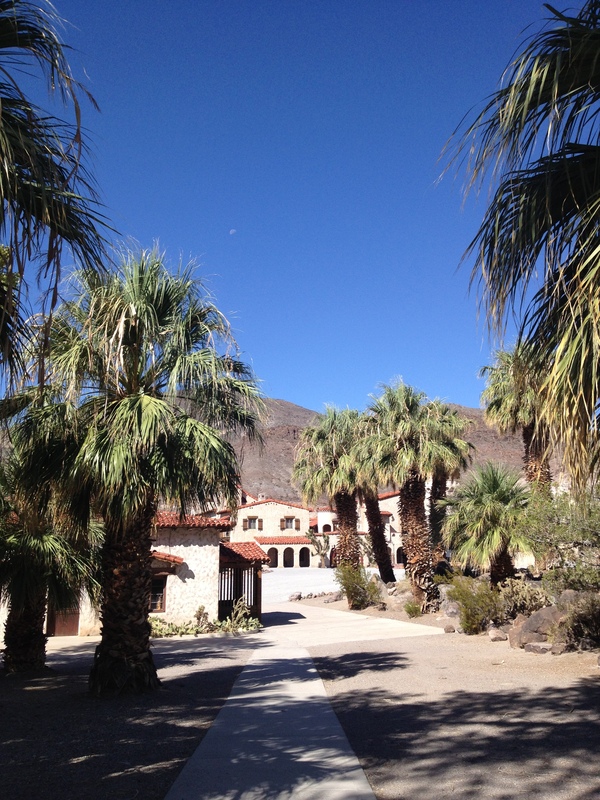 Tucked in the green oasis of Grapevine Canyon in the northern region of Death Valley, sits the Death Valley Ranch, or Scotty’s Castle as it is more commonly known. 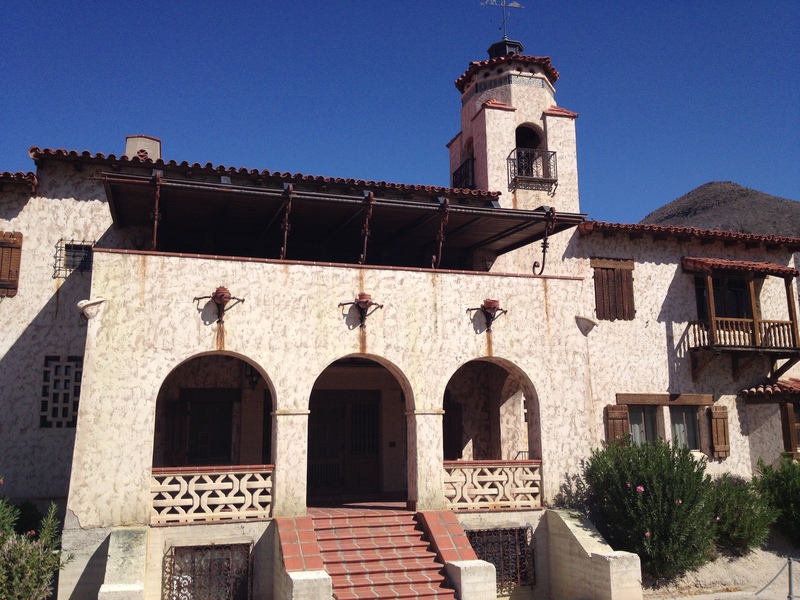 The ranch was built during the 1920s by Albert Mussey Johnson; though the home’s nickname seems to tell a different origin story. 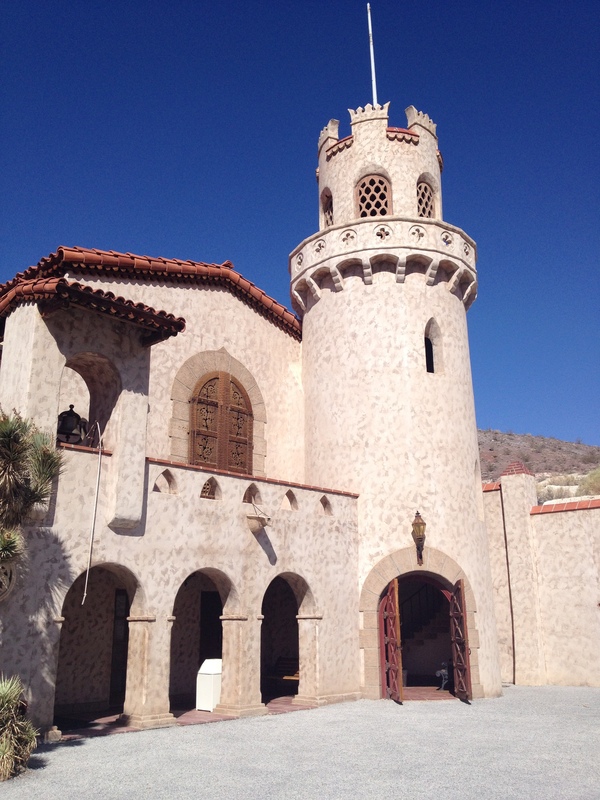 The nickname “Scotty’s Castle” derives from Walter Scott’s perpetuated tale that he built the home with his wealth from his gold mine. Albert Mussey Johnson actually built the house as a vacation getaway for himself and his wife Bessie and Scotty was just a friend, whom Mr. Johnson let spin his wild stories. Albert Mussey Johnson and his wife Bessie lived in Chicago, but became increasingly drawn to Death Valley over the years. In the early 1900s, Mr. Johnson was approached by Walter Scott to invest in his gold mine, which Mr. Johnson did. In time this proved to be a con, but over a decade of Mr. Johnson visiting Death Valley Scotty, an infamous Wild West con man, Mr. Johnson struck up an unlikely friendship with Scotty and greatly enjoyed his Wild West tales, even if they were exaggerated or untrue. For the city-born Johnson, Scotty was a fascinating cowboy character to him. 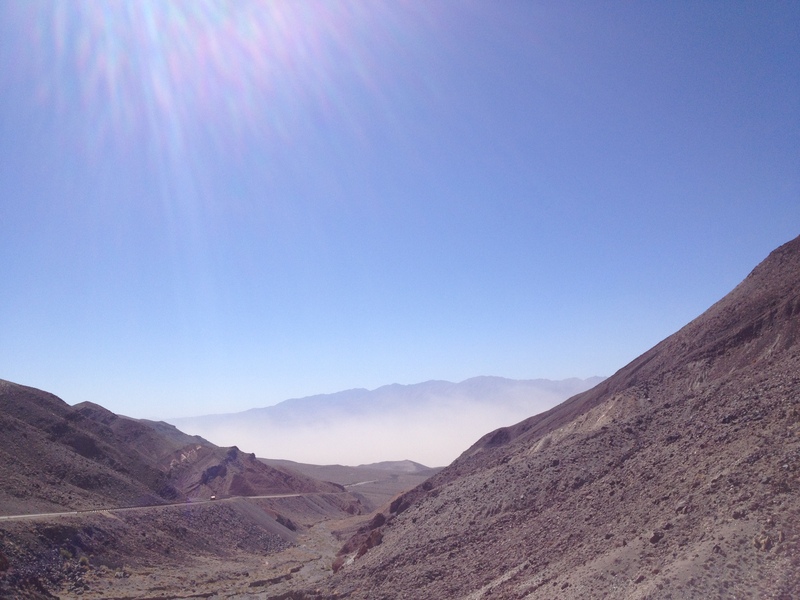 Aside from the allure of finding gold and the rugged yet beautiful scenery that the Johnsons enjoyed, Death Valley also proved to be a welcome environment for Mr. Johnson’s spinal injury. He and his father were involved in a train accident in 1899, which killed his father and left Mr. Johnson with a broken back. He miraculously recovered, but suffered from partial paralysis. The dry climate of Death Valley seemed to ease his pain, so after years of camping when they visited, Mrs. Johnson convinced Mr. Johnson to build a more comfortable and permanent vacation home for them in Death Valley. Construction began in 1922, but unfortunately was never completed. 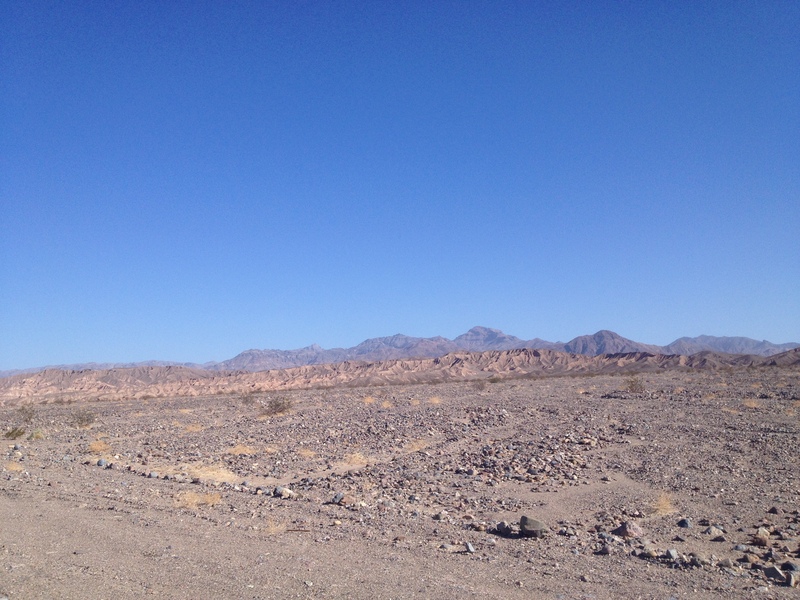 Unbeknownst to the Johnsons, the initial land survey was incorrect and they were actually building their Death Valley Ranch on federal government land. Construction was halted in 1931 and then combined with the stock market crash in 1929 and the Great Depression, the Johnsons were never able to resume building. 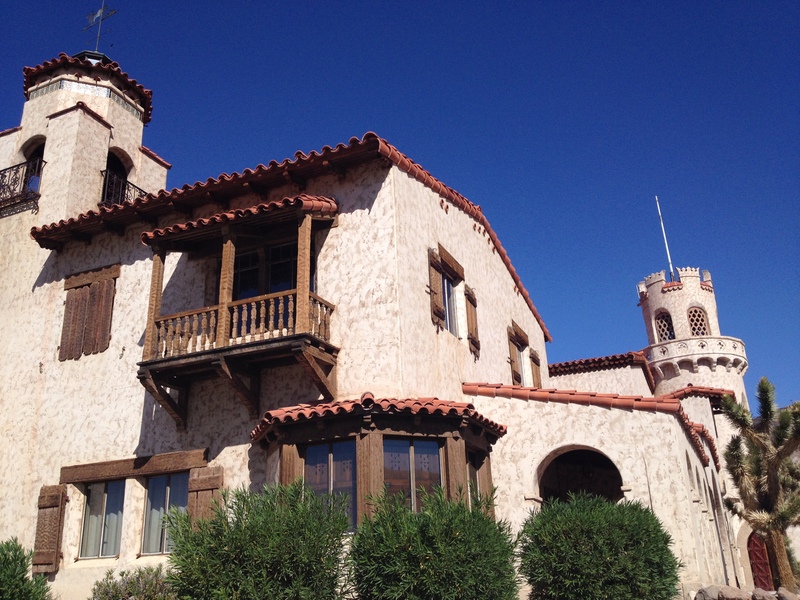 Today, Scotty’s Castle remains as Mr. Johnson left it. But the ranch was finished enough for them to live at, and to help produce income the Johnsons rented out rooms upon Scotty’s suggestion. 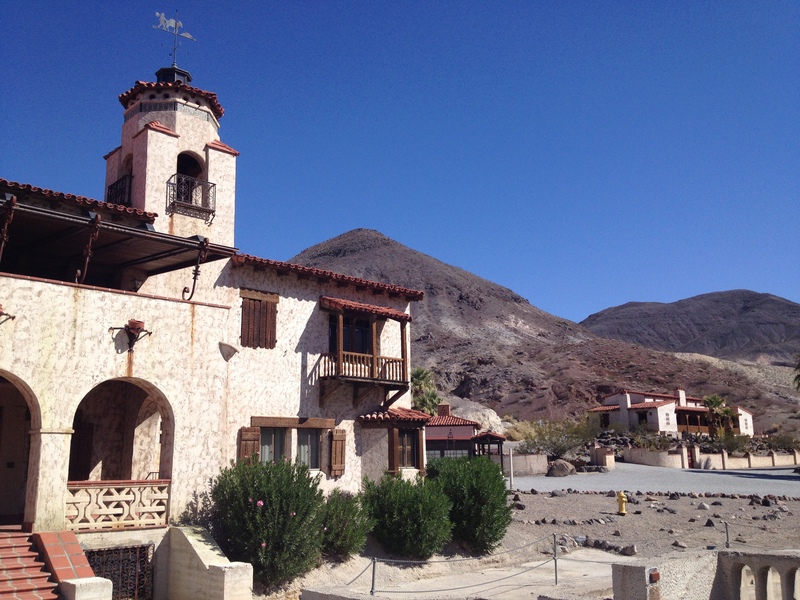 Over time the hotel became a tourist attraction of Death Valley due to the fame of Death Valley Scotty. When the Johnsons passed away in the 1940s, they had no heirs, so they willed their ranch to a charity named the Gospel Foundation of California. The organization ran the ranch as a hotel and they also took care of Scotty until he passed away in 1954. 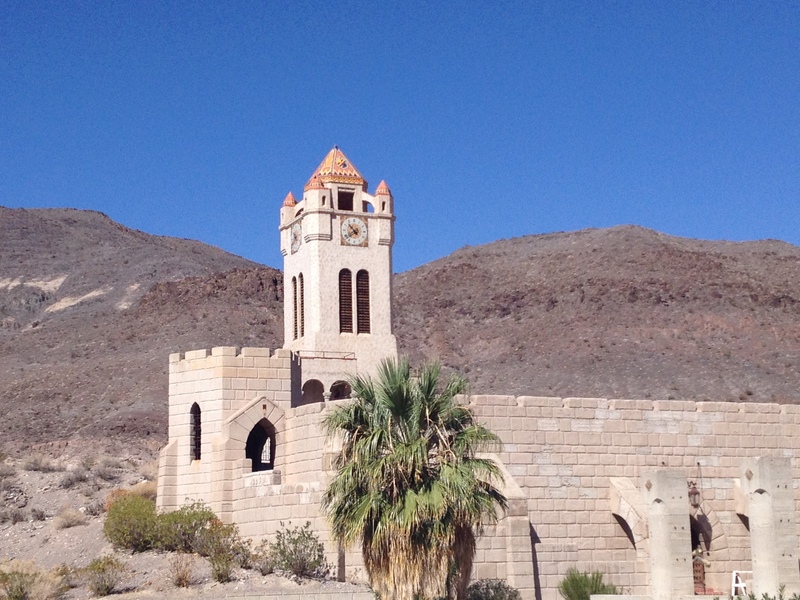 In 1970, the Gospel Foundation sold Scotty’s Castle to the National Park Service and it continues to remain a popular tourist attraction of Death Valley. 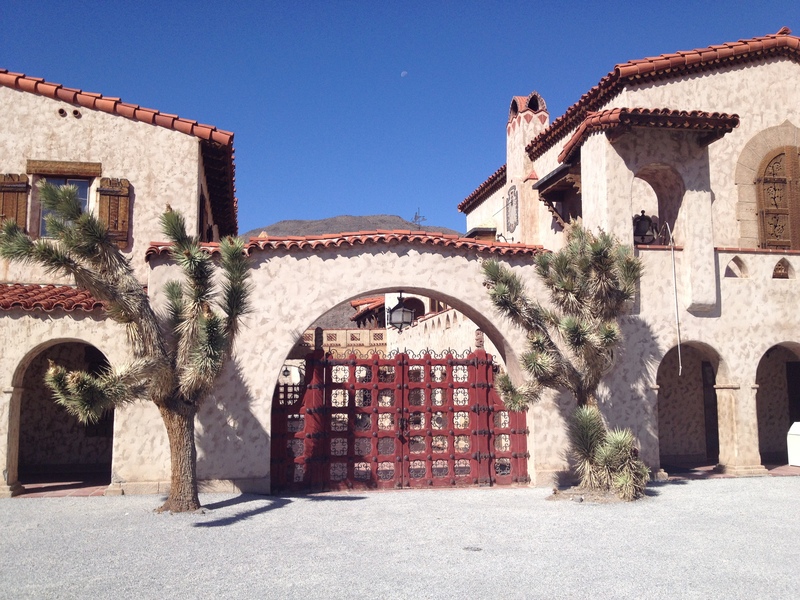 Scotty’s Castle is a beautiful two-story Spanish style villa that I wish had been completed so we could witness its full beauty as the Johnsons envisioned. 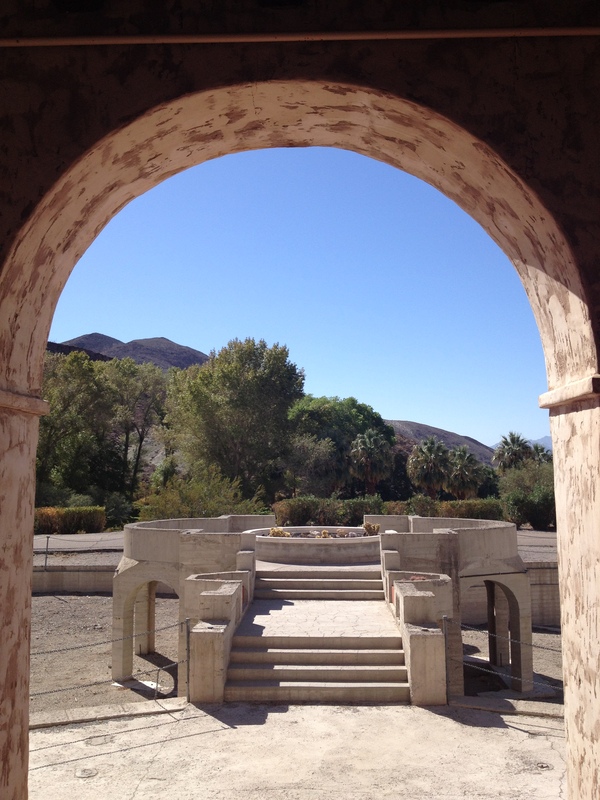 But it is still a gorgeous home to tour and a wonderful historic site in Death Valley. 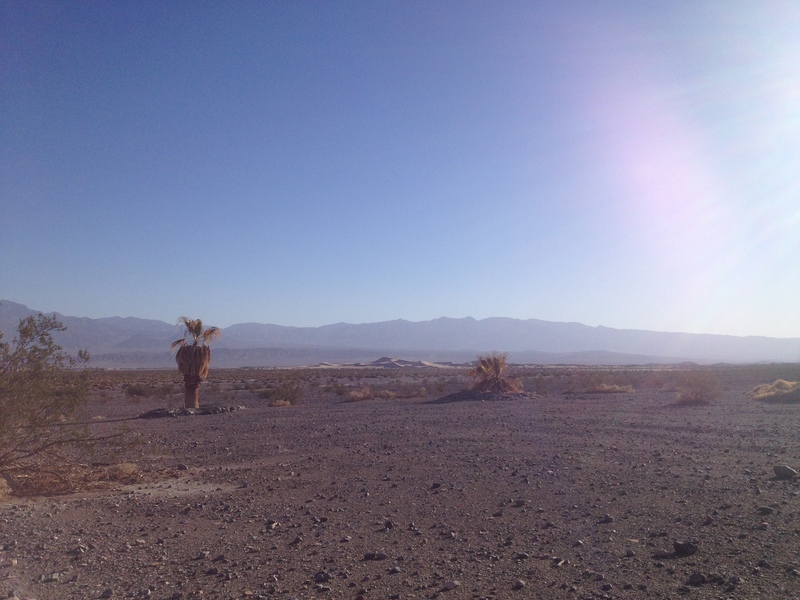 It is also a great place to escape from the heat of Death Valley. 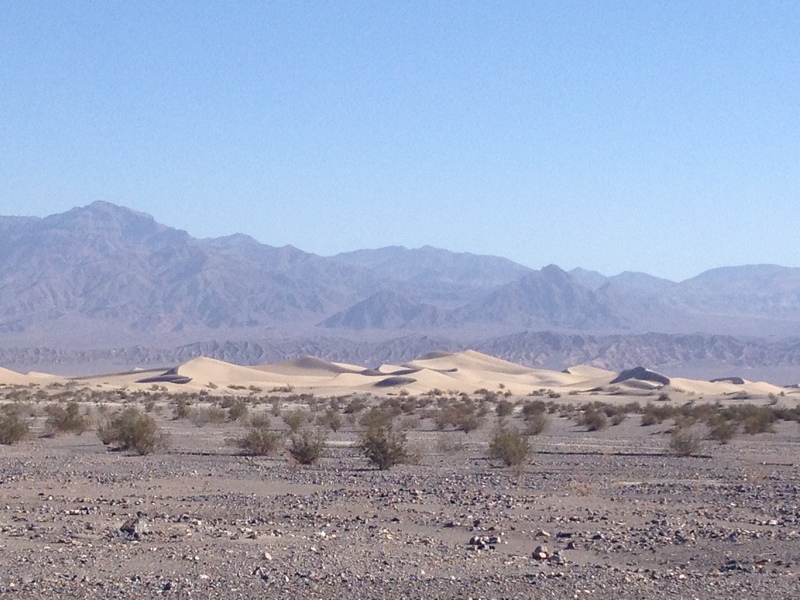 I was amazed by how cool the temperature was in this part of Death Valley. I mean, it was still hot, but the oasis provided shade and cool breezes which made this area quite comfortable. 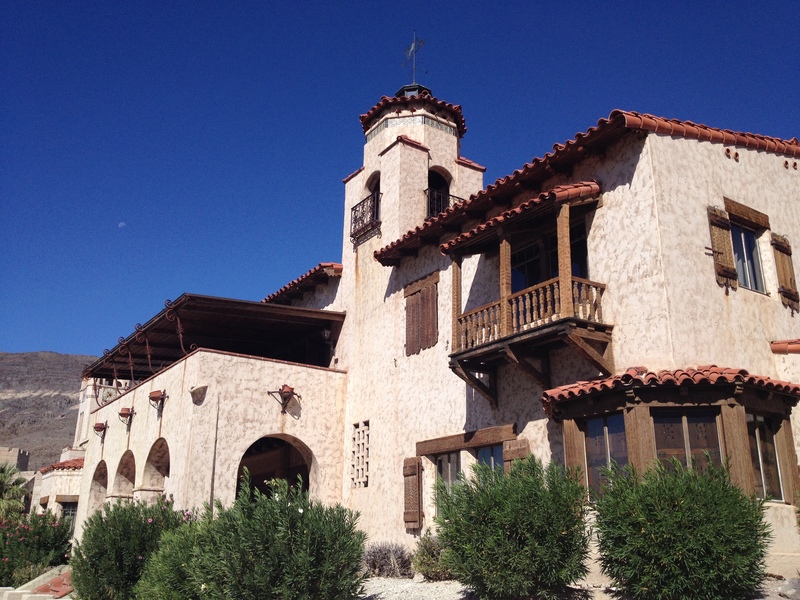 Visitors are free to roam the grounds and exterior of the ranch, and the park offers tours of the interior of Scotty’s Castle. A “castle” must have a tower! 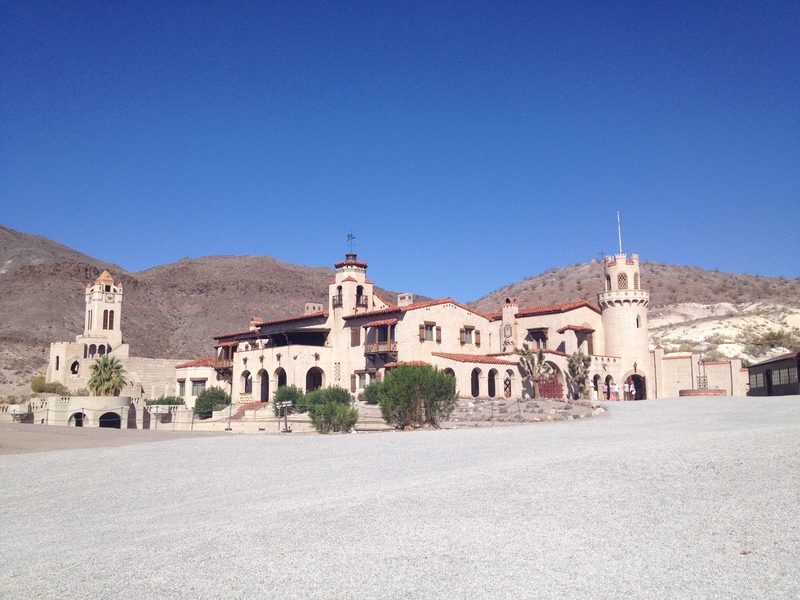 Scotty’s Castle is tucked into an oasis within Death Valley National Park’s 3.4 million acres of desert and mountains. 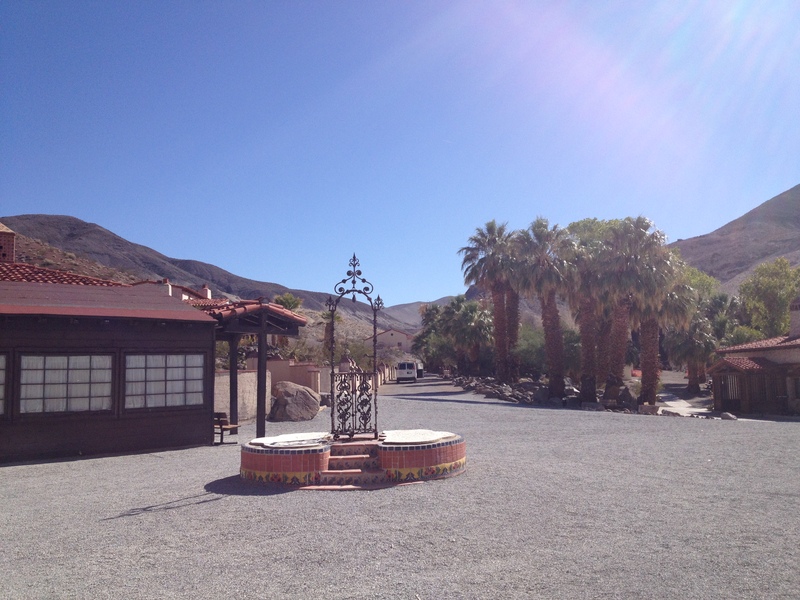 This oasis in Grapevine Canyon is a surprising refuge from the harsh climate of Death Valley. This is the main house of the ranch. The Johnsons’ original furnishings and clothing can still be seen today in the home. Along with indoor tours of the house, the park offers an underground tour of the extensive basements below the house, which provides information on the power and technology used to generate electricity to this large home in a vast desert. 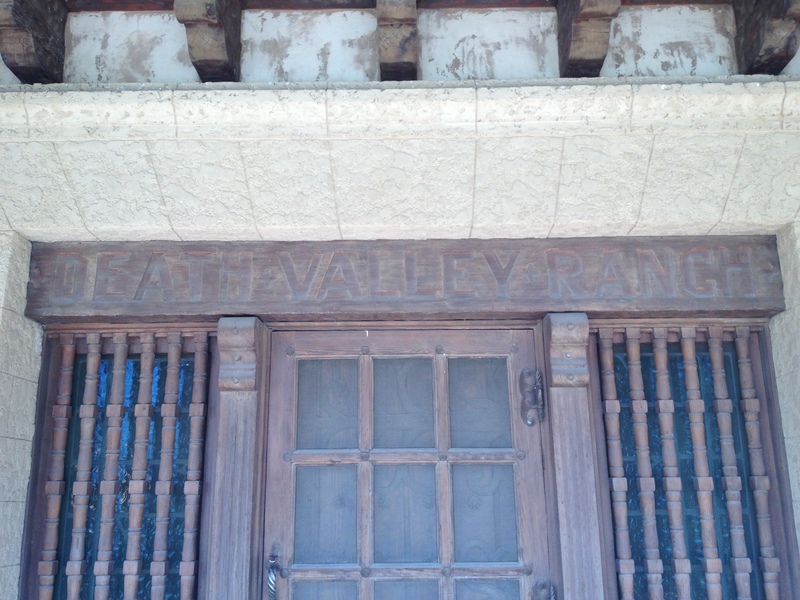 A personalized door at “Death Valley Ranch” aka Scotty’s Castle. Looking out at the swimming pool from the porch. This swimming pool is part of the ranch that was never finished. Can you imagine how grand this pool would have been? Thousands of tiles that were to be used for the pool remain stored in the basement to this day. The large pool is divided in the middle by a bridge. Scotty’s Castle even has a clock tower! The Spanish style and colors blend in nicely with the bleak desert environment. Our next stop was to the Racetrack! For your reference, Death Valley is a huge park. 3.4 million acres to be exact, which makes it the largest national park in the contiguous United States. We spent a lot of time driving from location to location, and it can feel like you are driving forever because the stretches of road are so straight and empty. Luckily you can drive fast since it’s desolate, at least this time of year it is. There are tons of unpaved side and back roads to take to various locations, such as to ghost towns and abandoned mines. 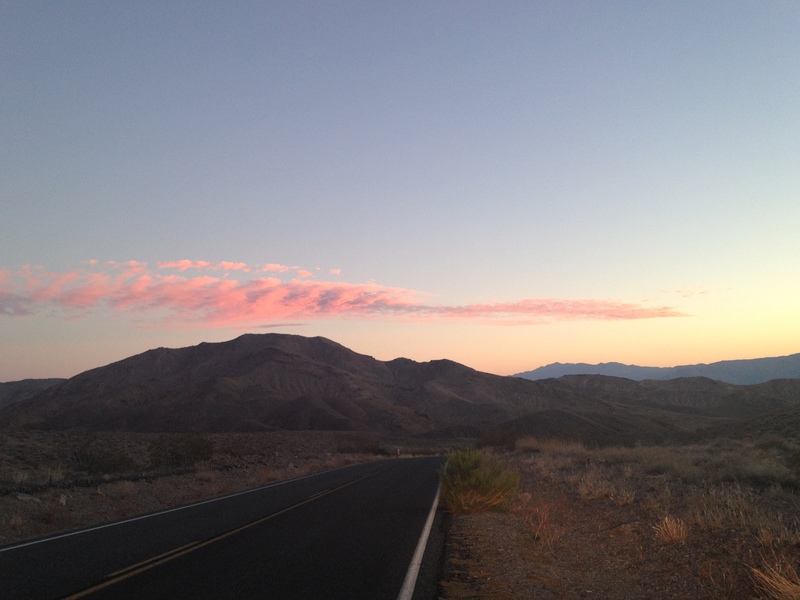 Death Valley has nearly one thousand miles of roads, which is more miles of roads than any other national park. But, sadly, one of these many back country roads I found out was to the Racetrack. 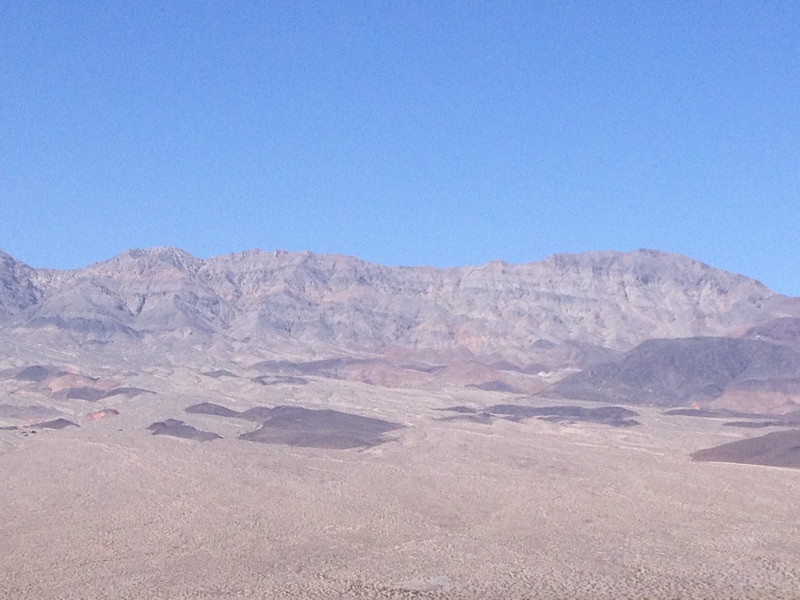 The Racetrack was my sole purpose to visiting Death Valley. (Thankfully we found a bunch of awesome sites to visit that I didn’t know about previously.) This is another reason to do your research more fully, kids! I had the directions to the Racetrack, but did not realize it was on an unpaved road. 28 miles one-way on unpaved road is 1) a very very long drive and 2) you really need an off-road or high clearance vehicle. Sad face. This is the second time on this road trip that I did not get to cross off a destination on my bucket list. First, the Delicate Arch and now the Racetrack. C’est la vie! 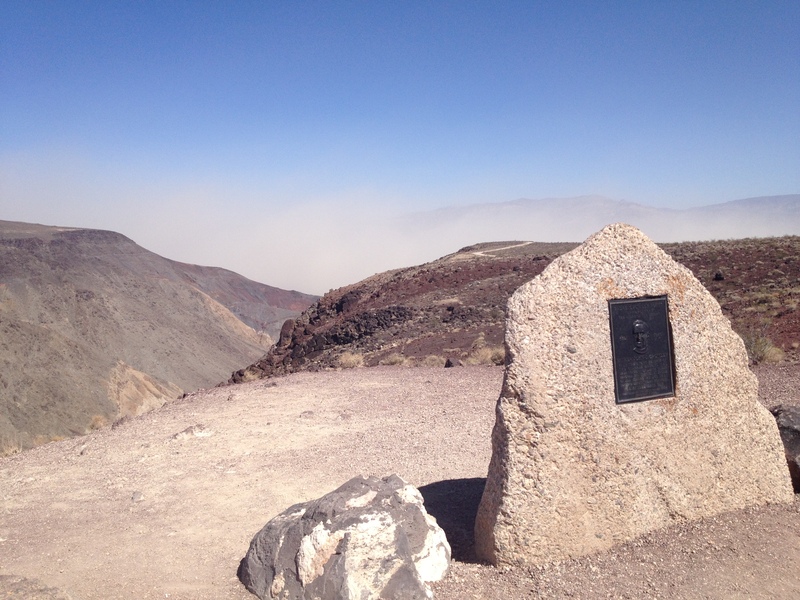 Death Valley hosts both the highest and lowest points in the continental United States. This is at the entrance to the unpaved road to the Racetrack. I’ll get you next time! 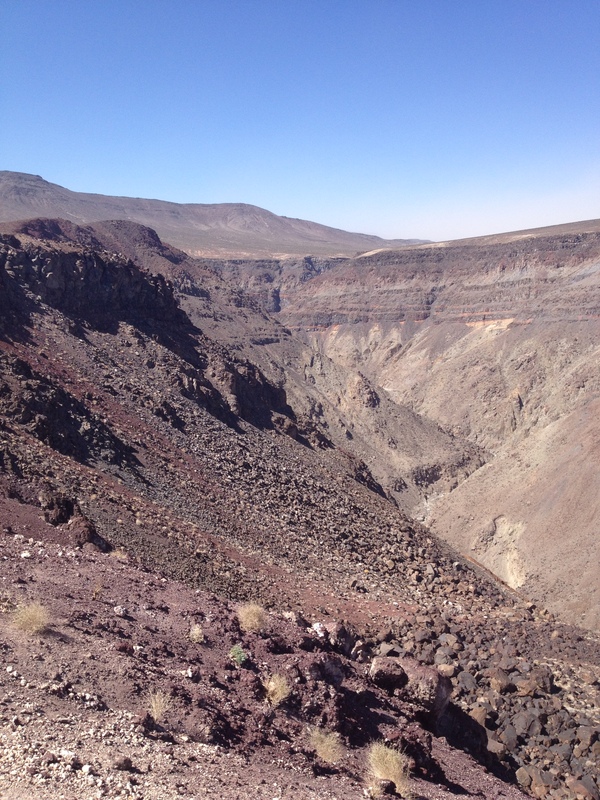 Fortunately, even though the Racetrack was a bust (for now), the Ubehebe Crater was very nearby for us to visit.There are several craters in Death Valley, but they are not formed by meteors. Uhehebe Crater is actually a maar volcano that was created by steam and gas explosions when hot magma rose up and reached water on the ground. The intense heat changed the water into steam until the tremendous pressure exploded leaving a crater. 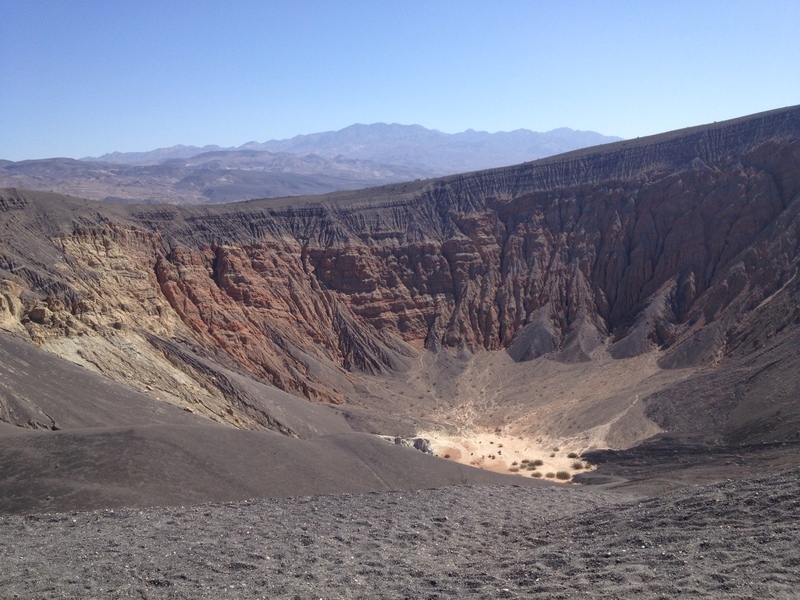 Ubehebe is the largest of these maar volcanoes in Death Valley and is thought to have formed as recently as 300 years ago. 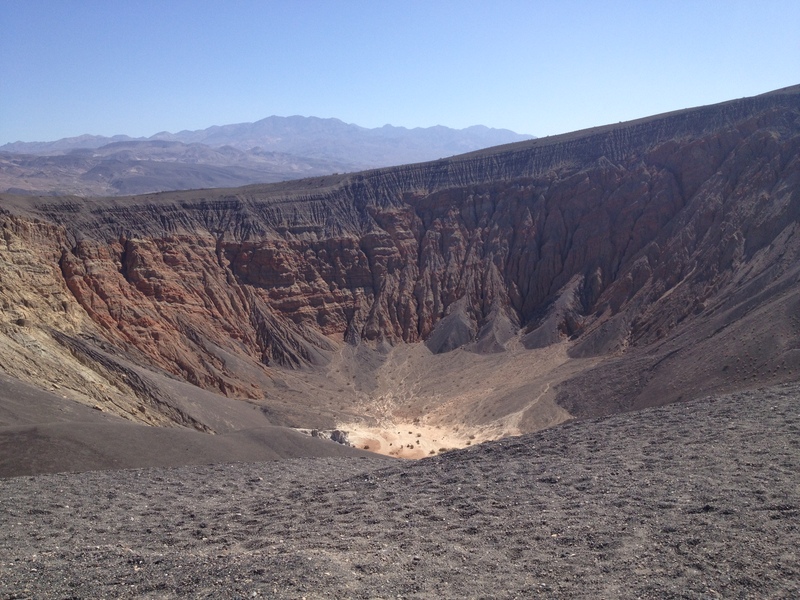 This is the first crater I’ve seen and it is an impressive site for sure! You can actually hike down to the bottom of the crater and also walk the rim of the crater, which is pretty awesome! Unfortunately we didn’t have time for this, but it is still an incredible site to view from above. 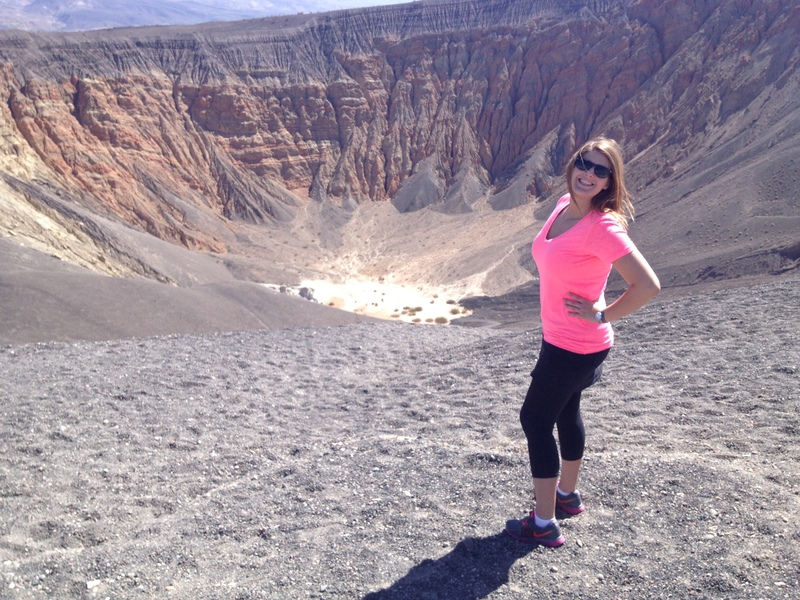 My first crater visit and second big ditch on this road trip! I think it is really cool that the National Park let’s visitors hike down to the bottom of the crater. 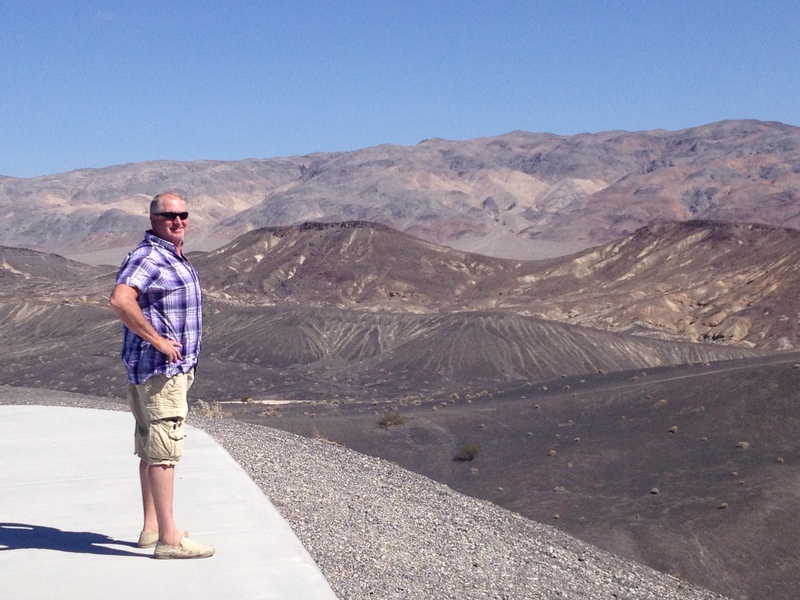 Dad taking in the view of Ubehebe Crater and the surrounding mountains. Time to leave the crater and hit the road! 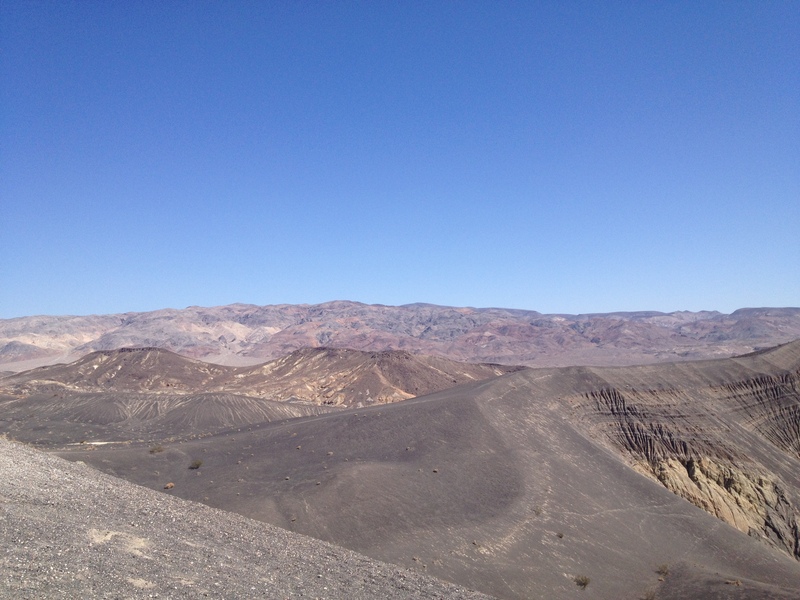 This is a view of Death Valley from higher up at the Ubehebe Crater. 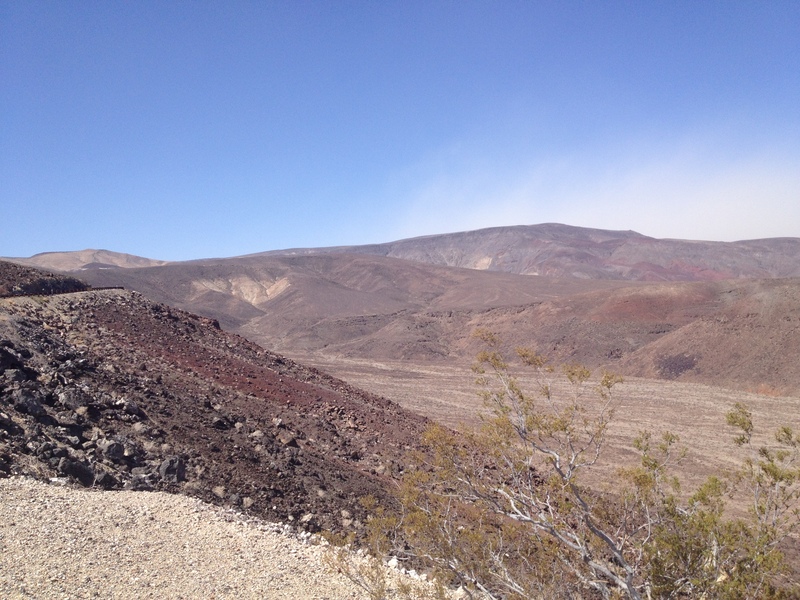 I always pictured Death Valley to be very dull, but the scenery is actually pretty colorful! 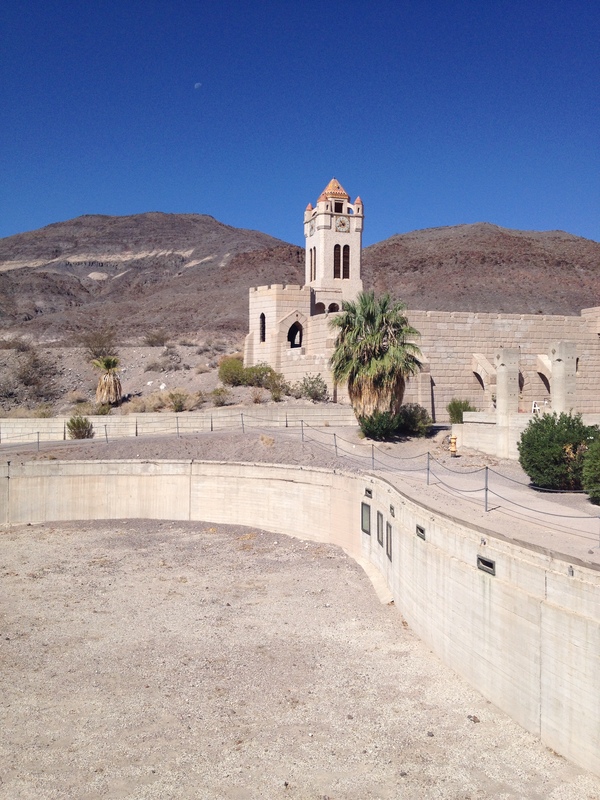 When I revisit Death Valley National Park, I want to explore the ghost towns, especially Rhyolite, and visit Mosaic Canyon as well as the Racetrack of course! Who knew Death Valley would be so fun?! And seriously it’s one of the most unique places I have ever visited. Death Valley is a place full of adventure with millions of acres of desert and mountains, sand dunes, abandoned mines and ghost towns. There really is so much to see and do in Death Valley, and it offers such a unique scenery that this has become one of my top places to visit. The pioneer woman and cowgirl must be coming out in me! On our way out of Death Valley, we made a quick stop at the Mesquite Flat Sand Dunes to make our sandwiches for lunch, and then continued westward towards Sequoia National Park. But we had an obstacle to tackle first. 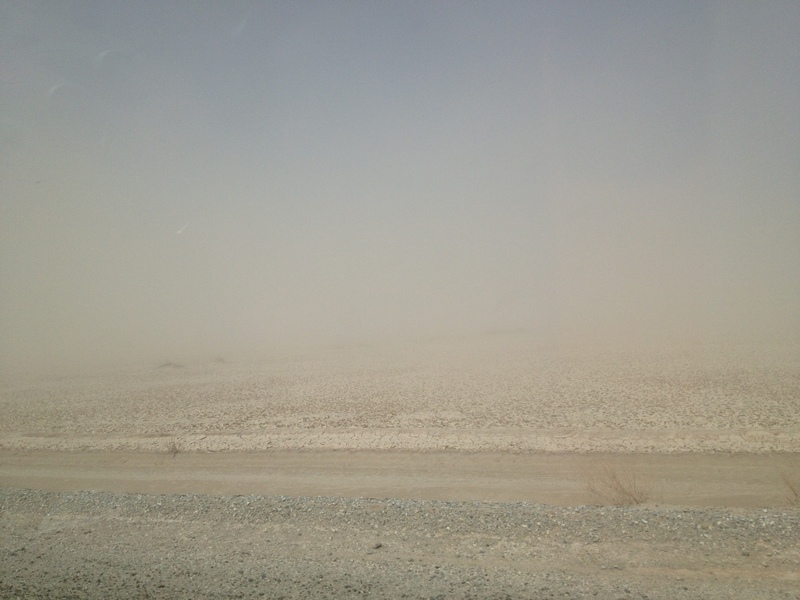 A dust storm! We could see the dust storm miles before we entered it, and although a slightly scary experience, it was also an incredible sight! It was basically like driving through very thick fog making it extremely difficult to see more than a few feet in front of us, but we made it through safely! 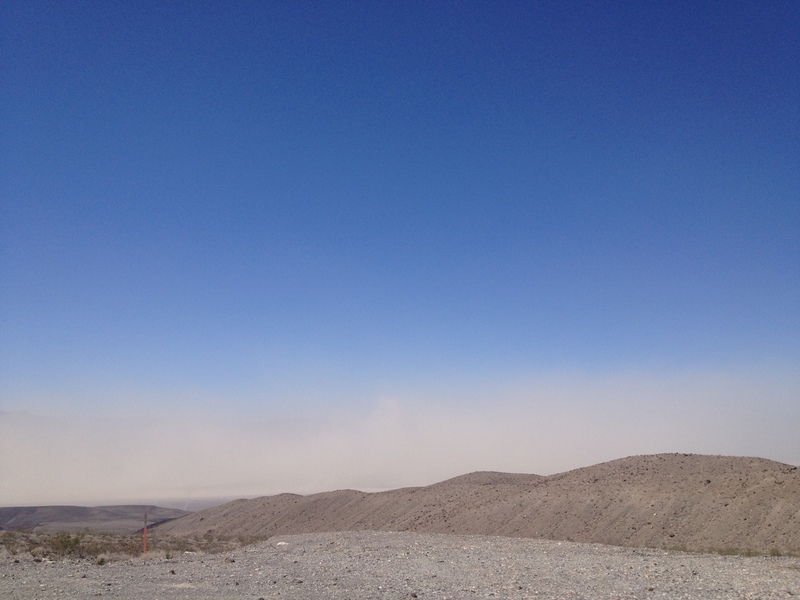 After we left Death Valley National Park, we were still driving in the same harsh desert environment…and a dust storm was waiting for us in the valley below. The storm on the horizon awaits us. 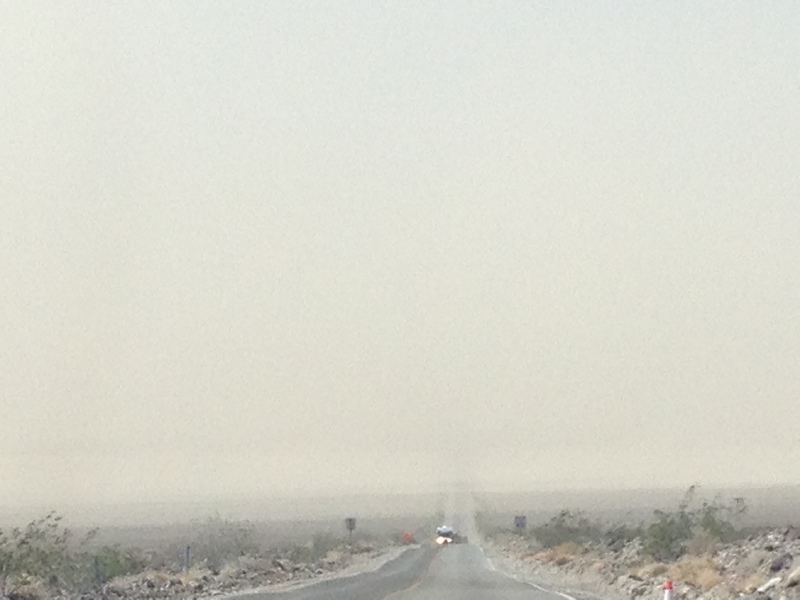 I’ve never seen dust storm, so it was a pretty awesome sight to me! I didn’t want to breath in the air here! 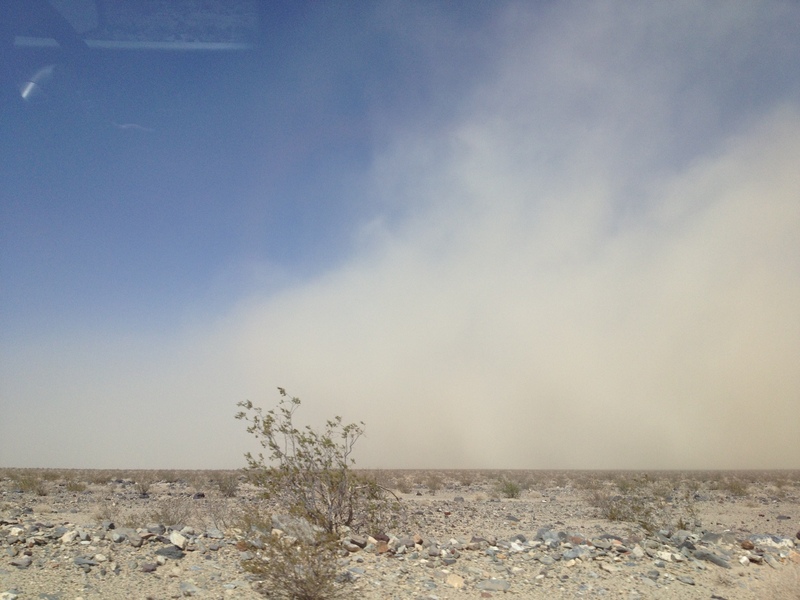 Exiting the dust storm – we made it! The dust storm is still visible behind us even as we climbed in elevation. We stopped for some photos at his historic landmark. 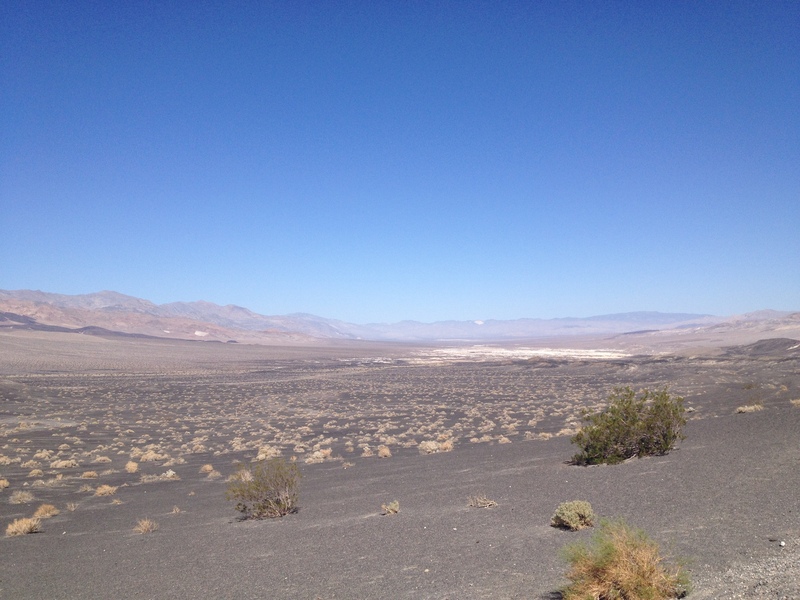 We had zero cell service while in and around Death Valley…actually, we hardly had any service on Monday through Wednesday of the trip because we were in such isolated places. 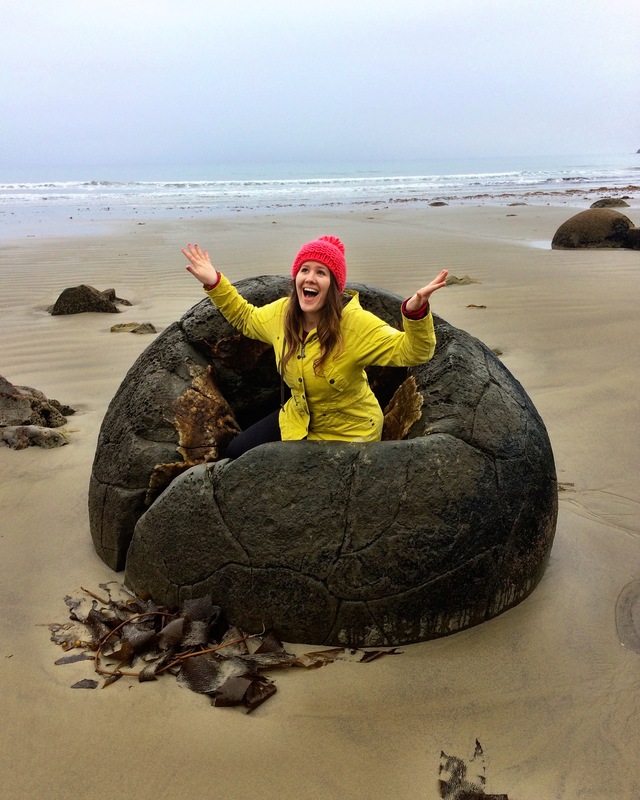 So if you want to enjoy time away from technology this part of California is definitely a region to visit. 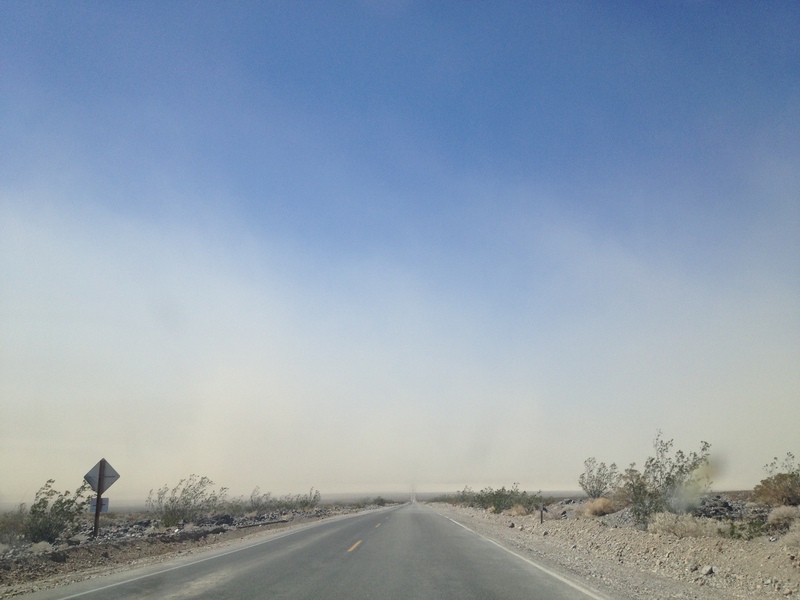 After we left the dust storm behind us, we had another couple hours until we reached our next point of civilization in Lone Pine, CA. This is where I made a sad realization, you can’t cut through Sequoia National Park from the eastern side like I had assumed. Add this to the long list of reasons I needed to research our road trip more thoroughly haha. Although there are entrances on the east side, they do not connect with the western side of the park, which is where we wanted to be. 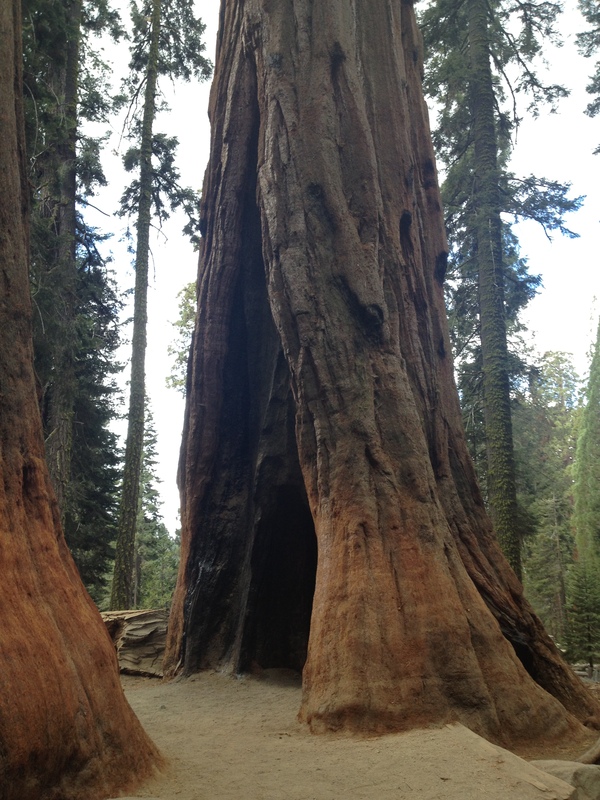 Sooo we had to extend our trip for a night since I still wanted to visit Sequoia National Park. Originally we had planned on visiting the famous sequoias in the afternoon of the same day we left Death Valley, but since we now had to drive around the park instead of through it we needed an extra travel day. 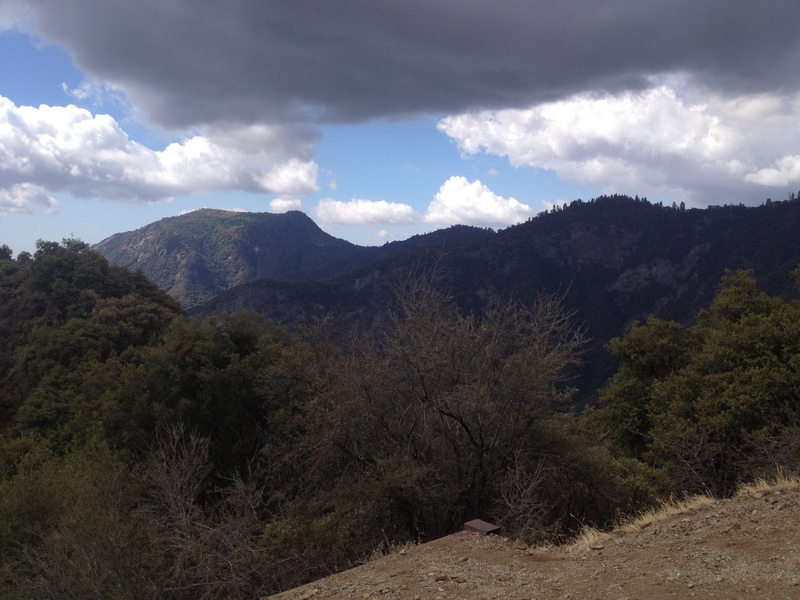 Thus our new destination for the night was Tulare, CA to the west of Sequoia National Park. 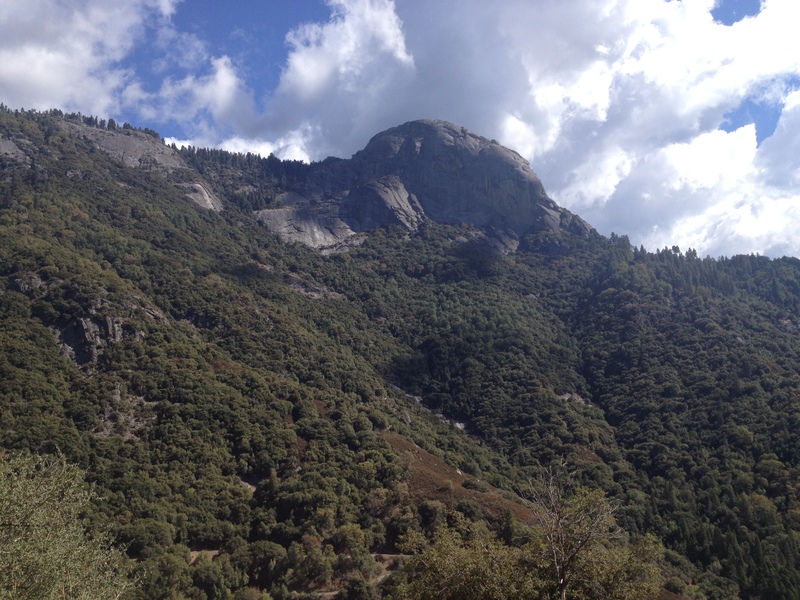 Once we realized we couldn’t drive through Sequoia National Park, we pulled out the atlas and decided to take Highway 155, which cuts through the southern edge of the Sierra Nevada. 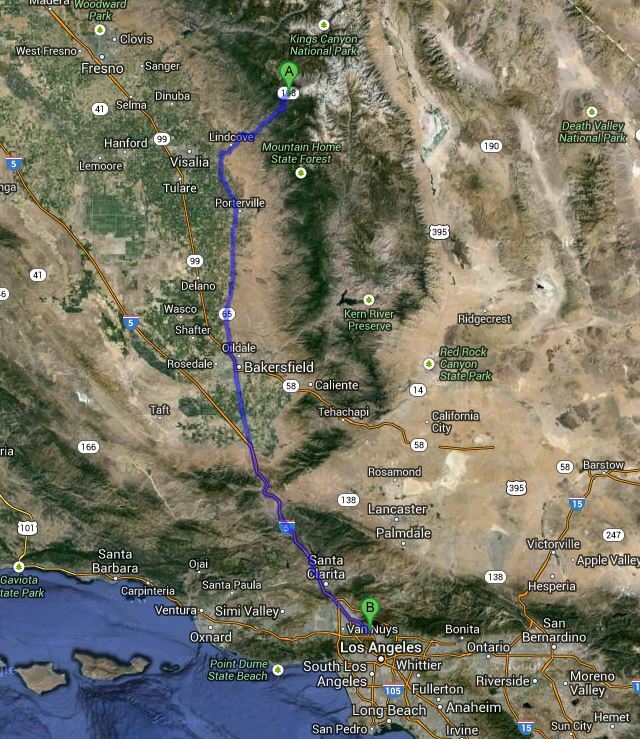 I thought this would save us some time, instead of driving all the way down to Bakersfield and then driving north again. Well I learned yet another valuable road trip lesson: short cuts are not always quicker. I don’t advise taking this route of Highway 155…sure, it’s a straight cut through, but I did not really think about how it is a highway through MOUNTAINS. I thought I was going to hurl the entire drive. The road had soooo many switchbacks and we were winding up and then back down and then up again. I think the constant change in elevation didn’t help my motion sickness either. At least it was a pretty drive and zero traffic. Plus I saw parts of California I would probably never normally see (and never will again lol). But in retrospect, it would have been better and faster to just drive the extra 20 miles to Bakersfield and go up to Tulare that way. 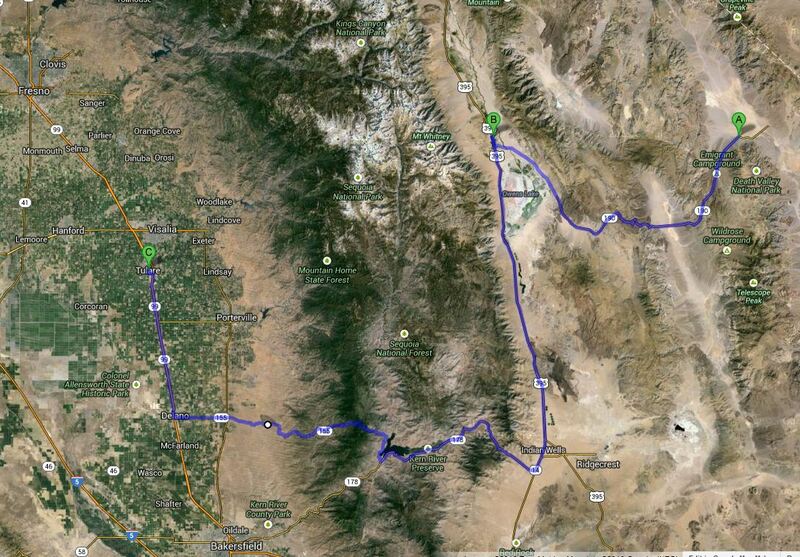 Our long drive through the desert and mountains of California in one day. As soon as we began approaching the entrance to the park I knew we were in for some gorgeous and breathtaking scenery! 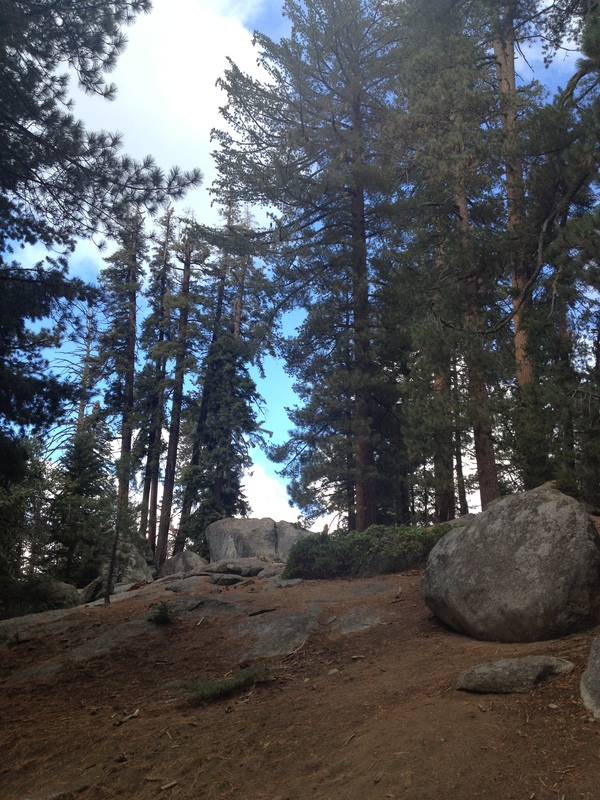 The Sierra Nevada is a mountain range full of rich colors, groves of giant sequoias, marble caverns and granite. 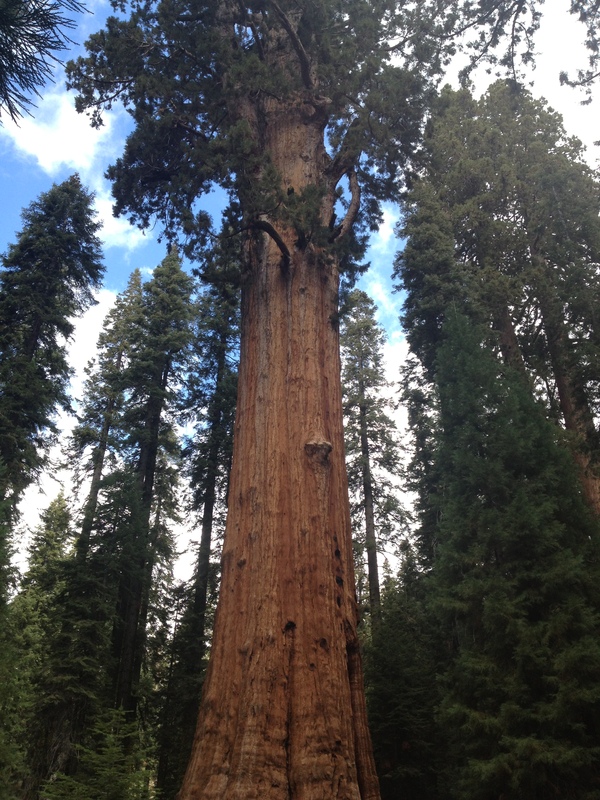 Our one and only destination that day (since we were short on time) was to explore the 7,000 foot tall General Sherman tree. Round trip this took us about three hours; but it was worth it and I look forward to returning and exploring the park more thoroughly. Sequoia National Park was established in 1890 and contains some of the world’s largest trees and the highest point in the contiguous 48 States, which is Mount Whitney at 14,491 feet. Humans have been inhabiting the regions for 6-7,000 years, and Spanish explorers discovered the area in the late 1700s. 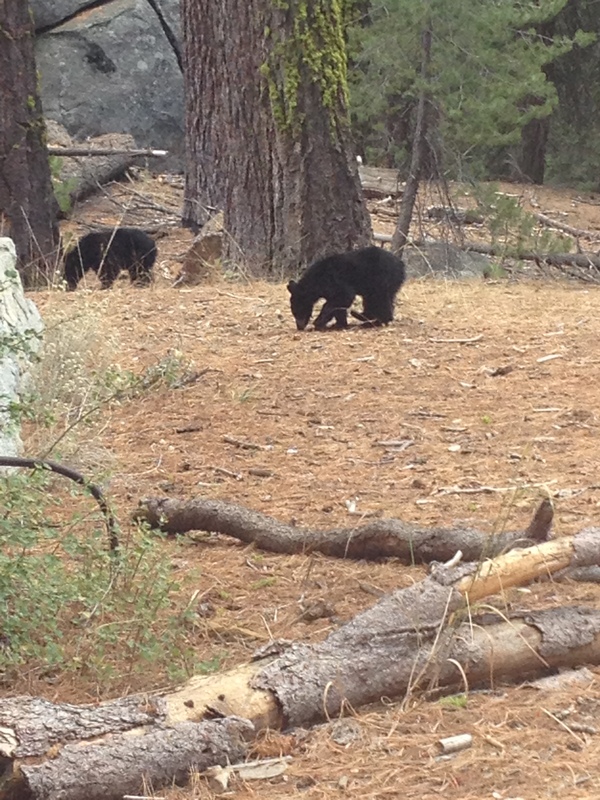 From then on the Sierra Nevada was a highly targeted area for hunters, miners, and loggers. By the late 1800s, the region became popular with tourists as well and is still a popular vacation destination today. The Sierra Nevada is home to three national parks, 20 wilderness areas, and two national monuments, and protects over 500 Native American archaeological sites and over 100 historic sites. 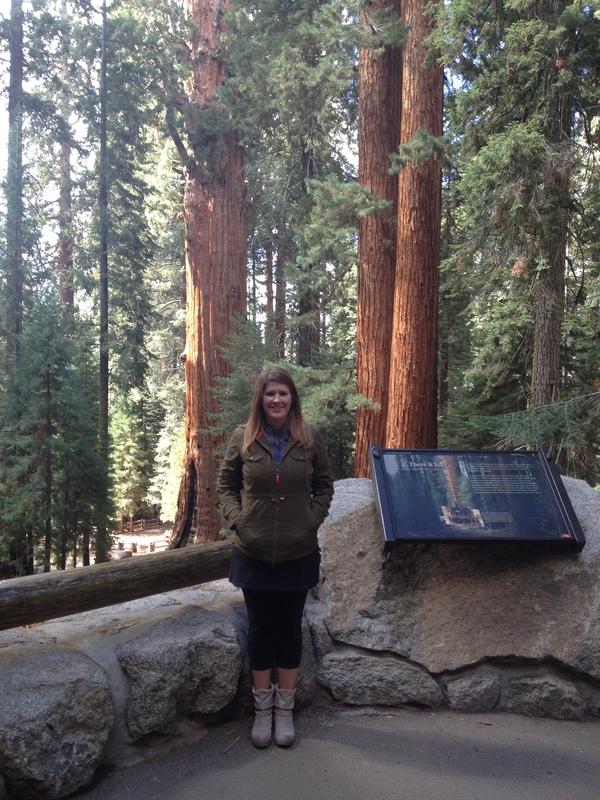 Sequoia National Park is the second-oldest national park in the United States. Yellowstone, established in 1872, is the oldest. Gorgeous day in a gorgeous place! 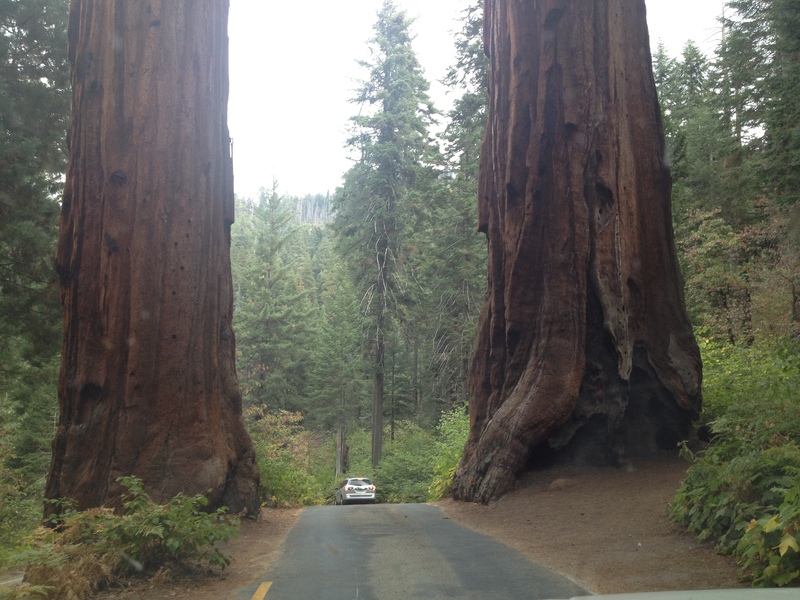 The sheer size of these sequoias is incredible! 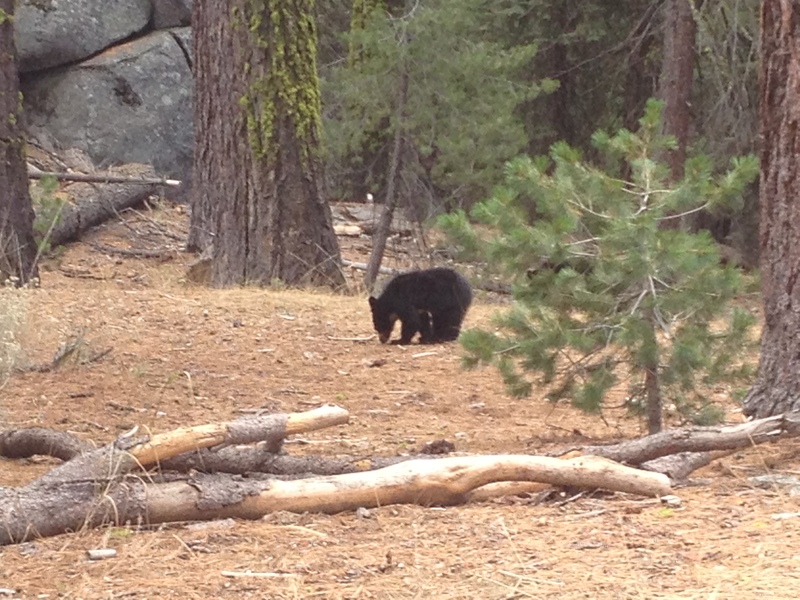 There were signs warning of black bears in the area…I didn’t think I would actually see black bears and so close to the trail! 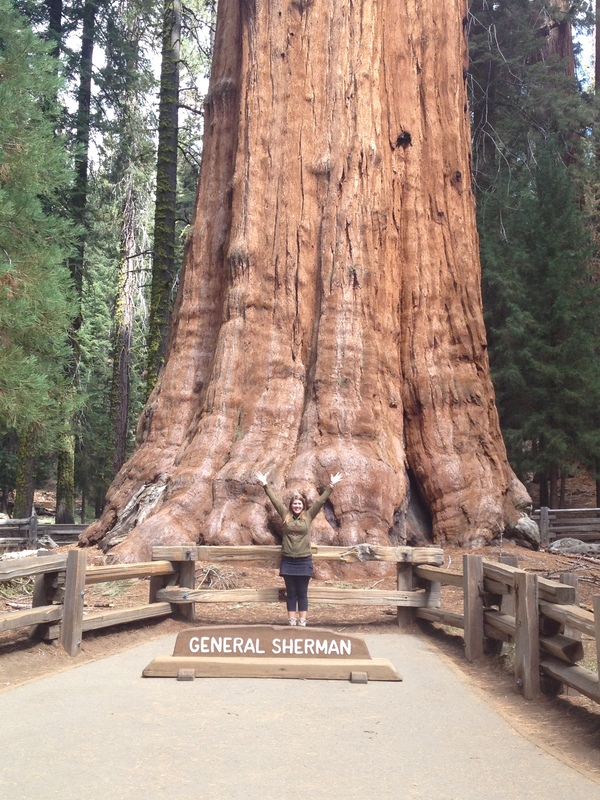 The General Sherman Tree is located on the north end of the Giant Forest and was definitely an unbelievable sight! It is not the tallest, widest or oldest tree on the planet, but it is the largest tree by volume, calculated to be slightly over 52,500 cubic feet. There are a lot of hikes to other giant sequoias in the park, and I can’t wait to explore more of these incredible redwoods. 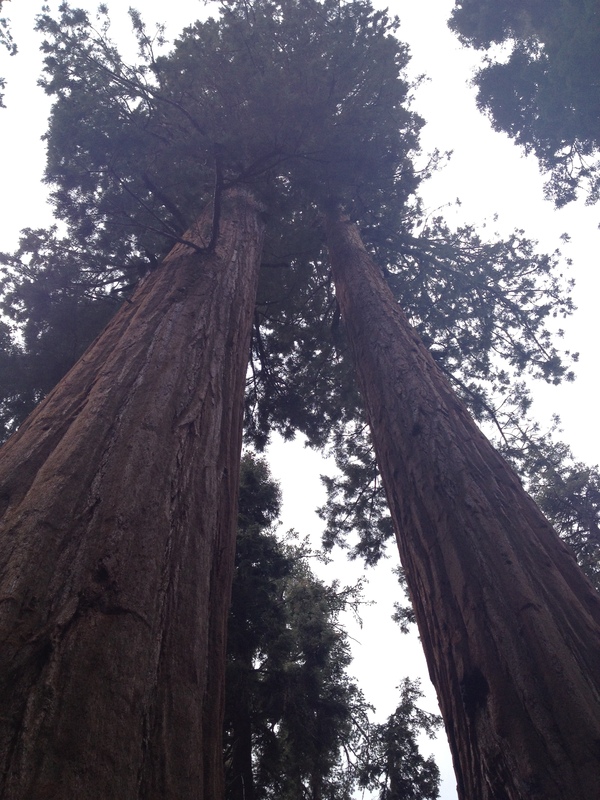 We also learned a very interesting fact about the redwoods while visiting. The reason there are so few giant sequoias, and why there is rarely a large grove of them, is because they grow best after a forest fire. 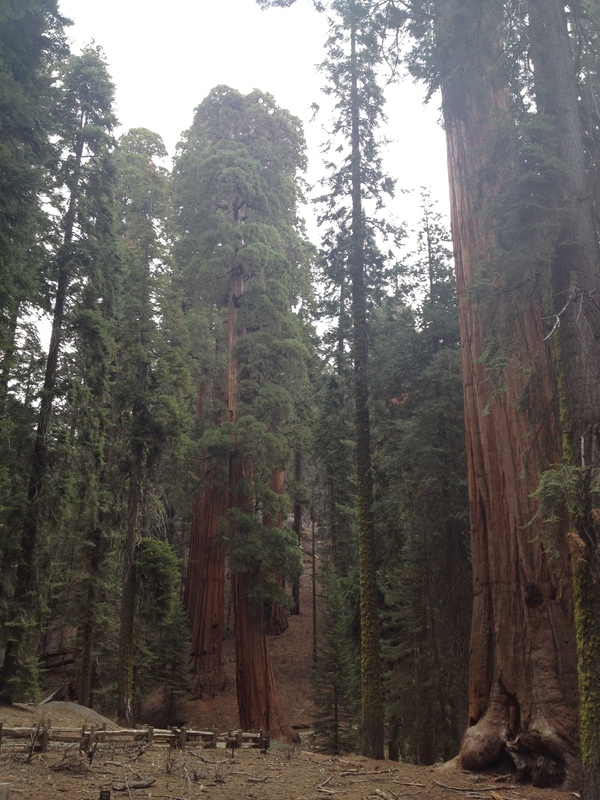 Since the giant sequoias are difficult and slow to reproduce, they thrive best after a wildfire because the fire clears out competing vegetation and allows the young sequoia seed to grow successfully in the rich mineral soil. So typically you will find a small cluster of two to four redwoods because they grew at the same time, but never a large grouping of them due to their difficulty in reproducing. 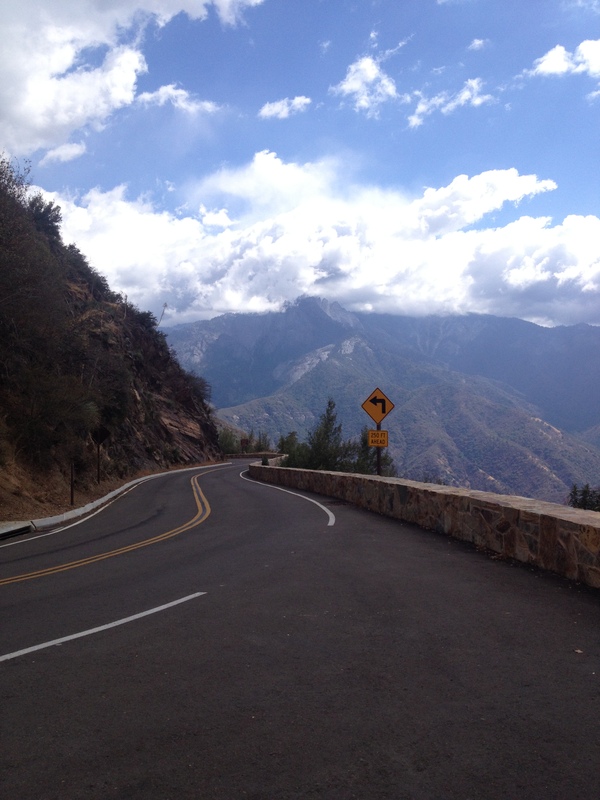 The temperature significantly dropped as we drove farther and higher into Sequoia National Park. 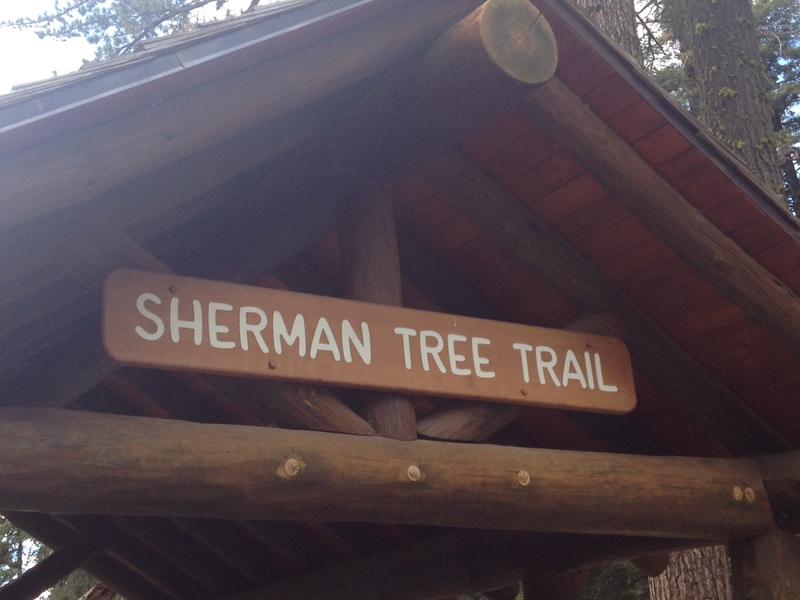 It was about 40 degrees when we hiked to General Sherman. We were definitely not dressed warm enough haha. 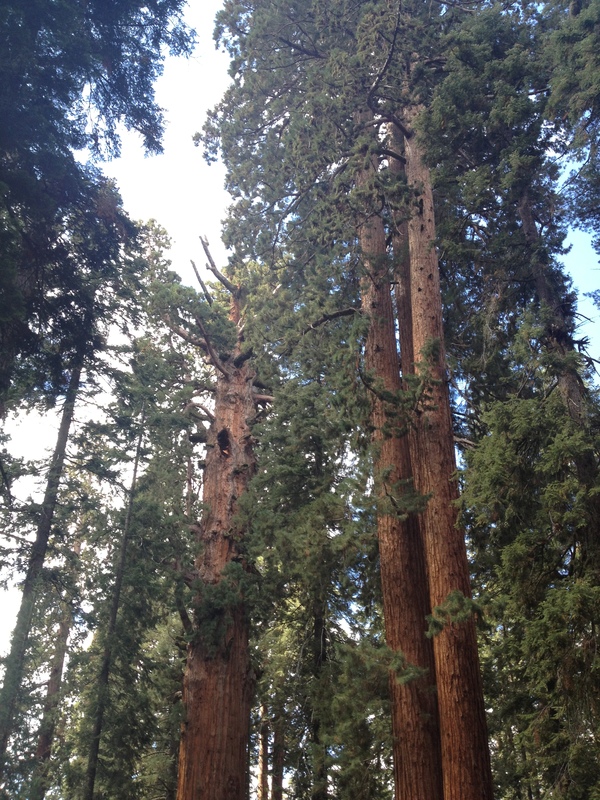 General Sherman (on the left) is the largest tree, by volume, in the world! 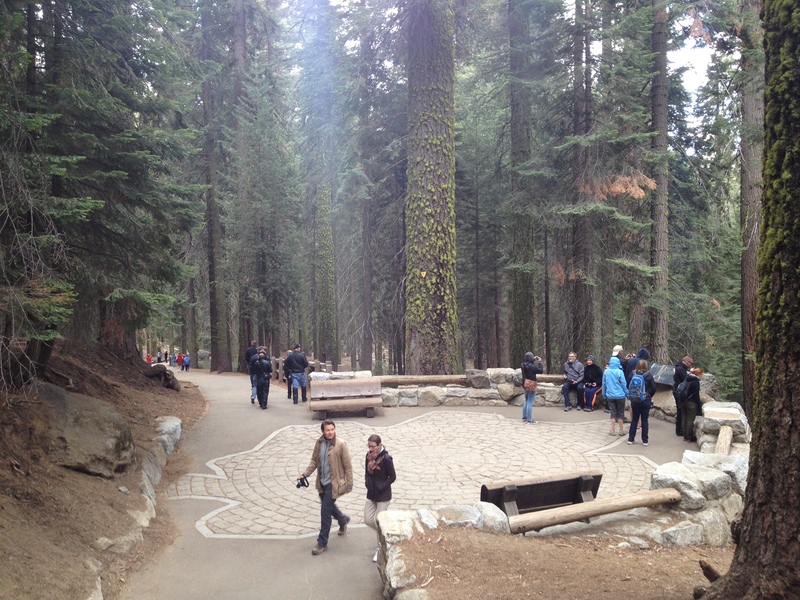 Along the Sherman Tree Trail is this resting point that provides information on the giant sequoia. The floor of this area is an outline of the base of the General Sherman and illustrates the circumference at the ground which is 102.6 feet. This is about the halfway point and it was so cold, dad and I considered turning back, but we were so close we decided to keep trekking to the bottom. The General Sherman is behind me to the left. Admiring these unbelievably tall trees! 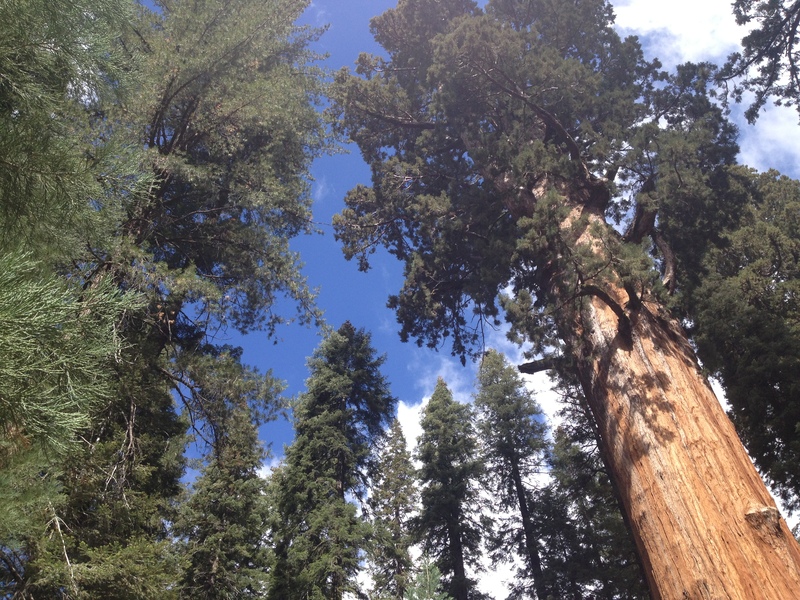 This was the most I could capture of the General Sherman in one photo. 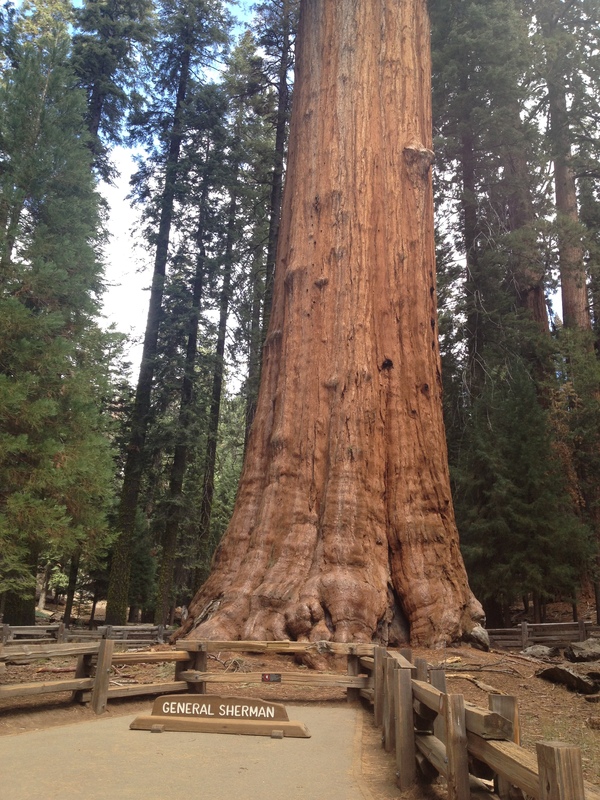 General Sherman is estimated to be 2,300–2,700 years old. If you want to feel truly small stand next to this tree. The top of the General Sherman! 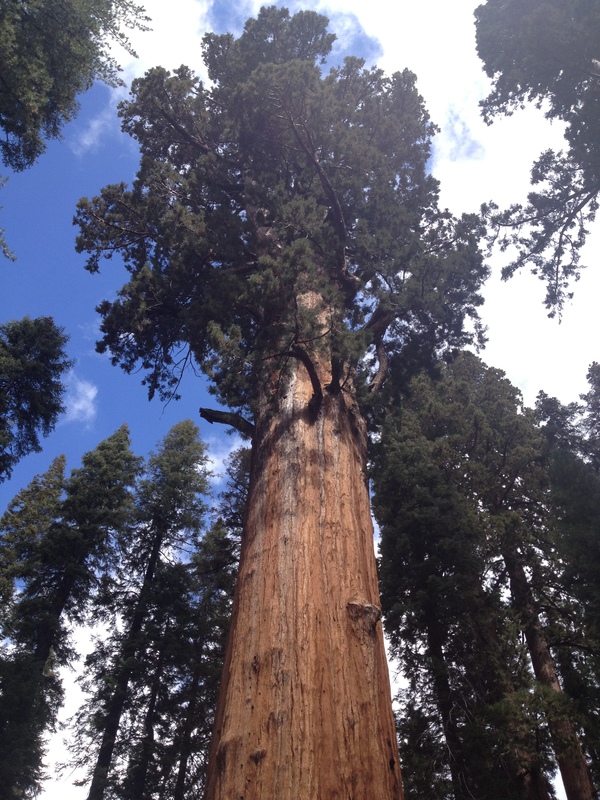 Some of the branches on the General Sherman are the size of an average tree! Although the General Sherman is the largest tree standing today, the Crannell Creek Giant tree, located near Trinidad, California, is estimated to have been 15 to 25% larger than the General Sherman Tree by volume, but was cut down in the mid-1940s. 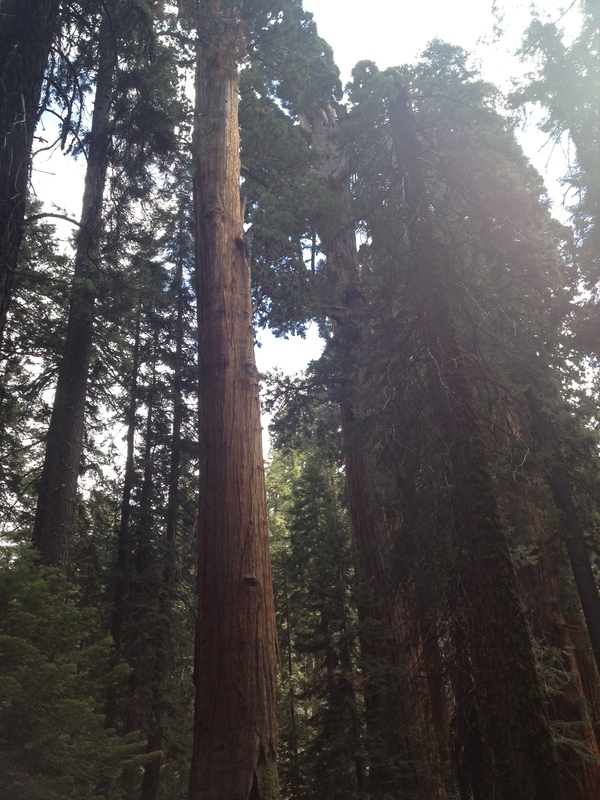 Wildfires do not typically kill the sequoias but do remove competing vegetation, and aid giant sequoia regeneration. 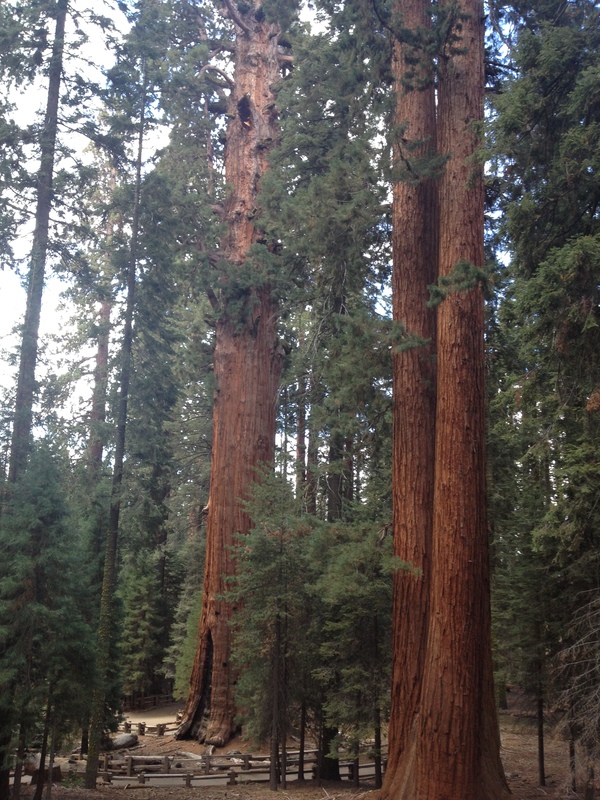 Overtime the sequoias will heal their fire scars. Pretty amazing! 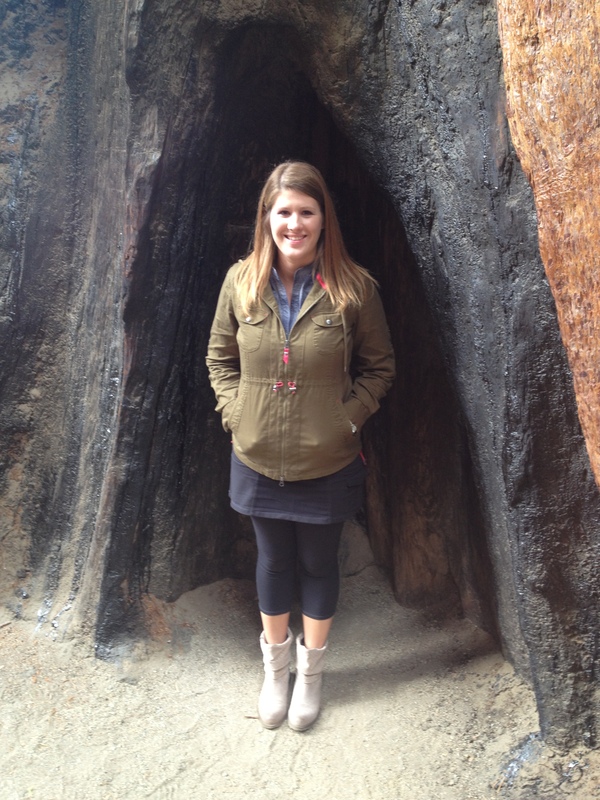 So fires are actually good for sequoias. My 5’7″ self fits comfortably into this fire scar. A little grove of redwoods. We changed elevation so often on this trip I definitely suffered from altitude sickness a couple of times. Sometimes even within one park we ascended and descended drastically within short amounts of time. Drink lots of water, folks! The final stretch of my road trip out West. 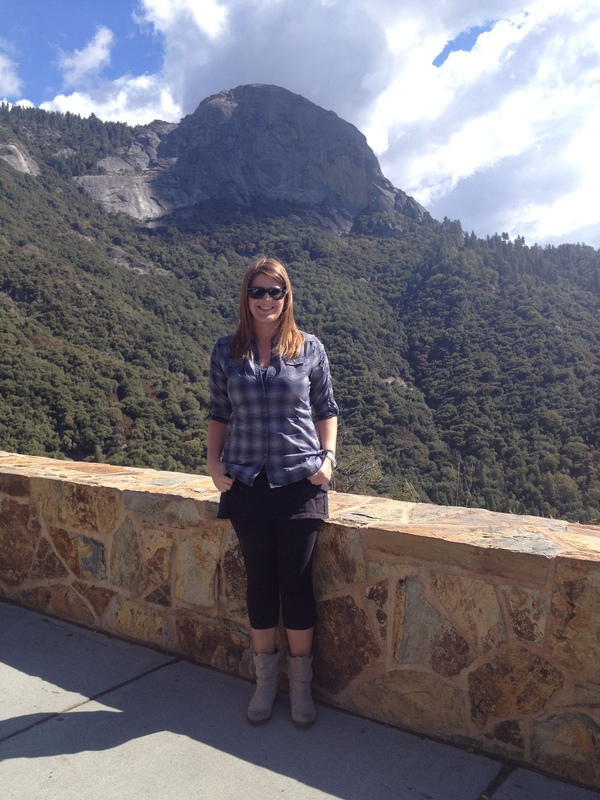 It was amazing to experience the extremes of California’s scenery and climate. One day I am walking in 100 degree heat in the desert and the next day I am shivering in 40 degrees while walking amongst the world’s tallest trees high up in the mountains. It was an incredible experience that only makes me crave for more! 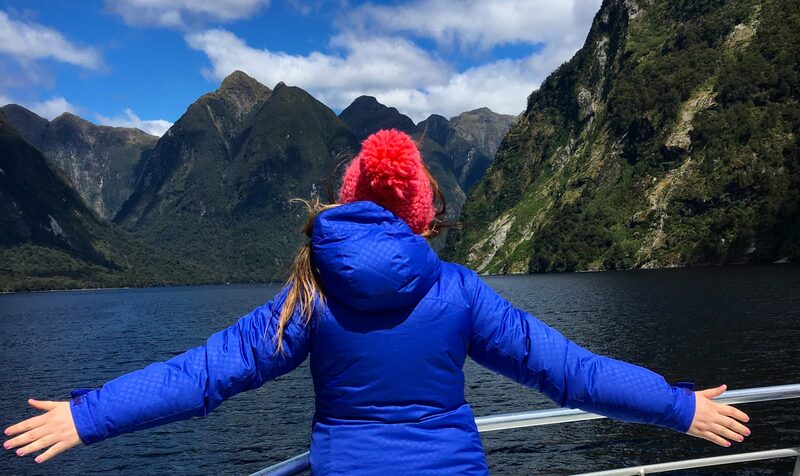 Earth beholds marvelous and mysterious wonders; and it’s when we start taking all of that for granted that we most need to be reminded that we live in an amazing world, and to be thankful for life and our blessings everyday. Very nice! Nice pics and writing!